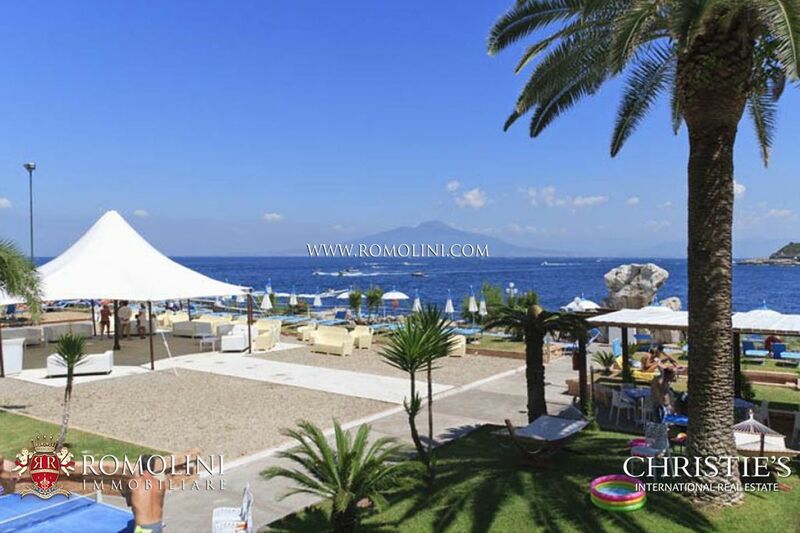 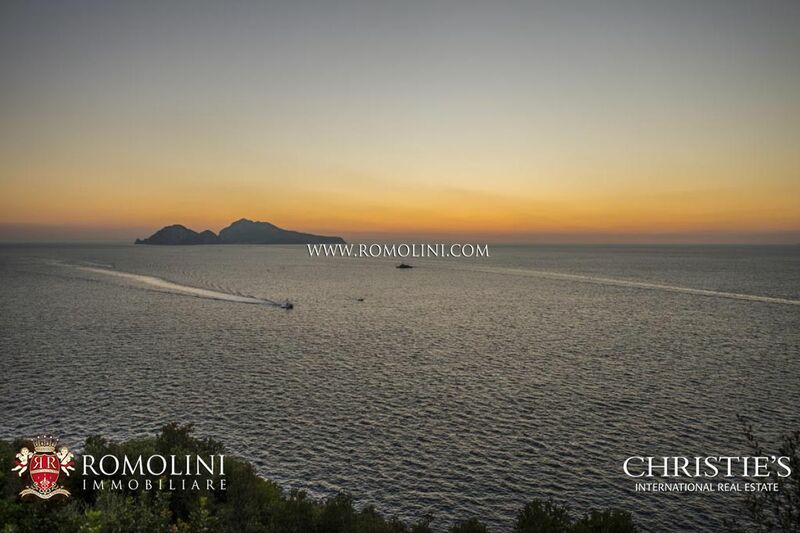 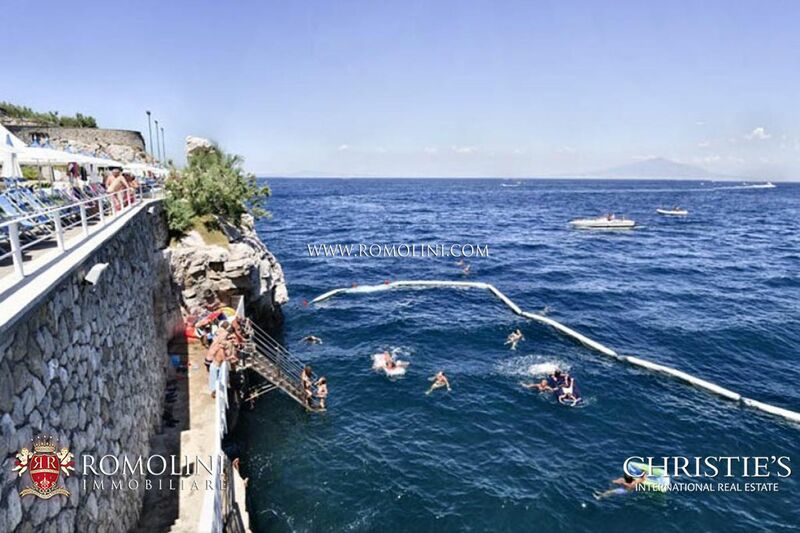 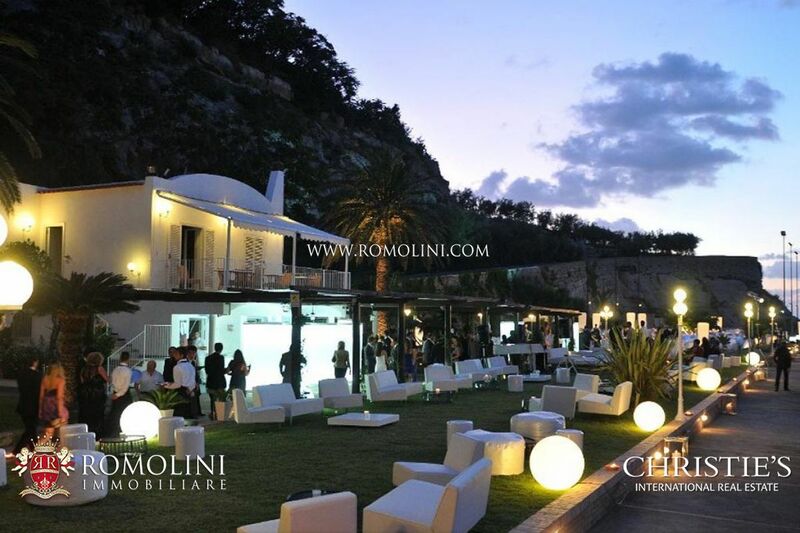 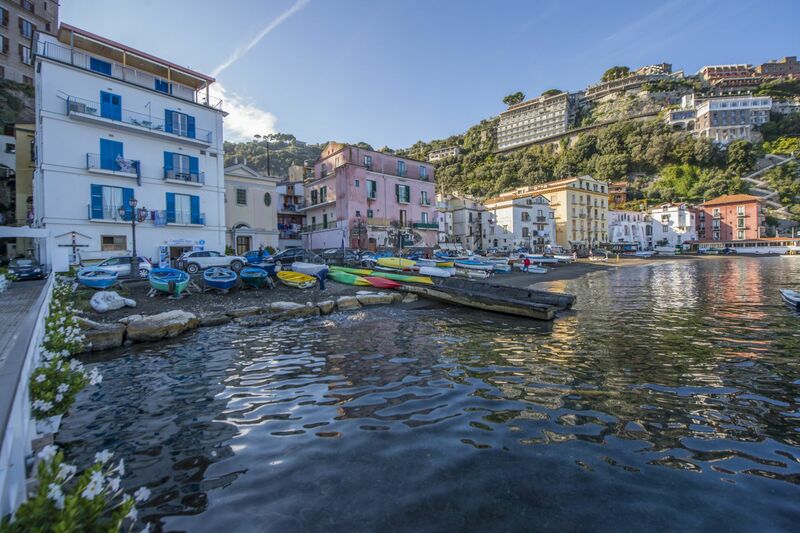 Cities of Campania are all easily reached: Sorrento (5km; 10’), Positano (22km; 45’), Praiano (28km; 1h), Pompei (30km; 50’), Amalfi (36km; 1h 10’), Ravello (43km; 1h 25’) and Napoli (53km; 1h 15’). 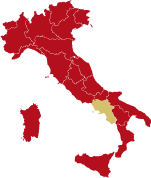 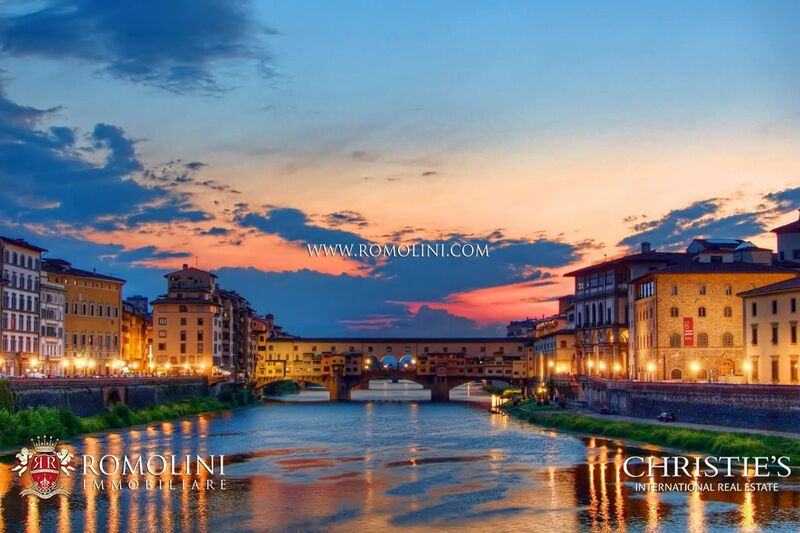 The most useful airports are Napoli Capodichino (57km; 1h 10’), Roma Ciampino (260km; 2h 50’), Roma Fiumicino (284km; 3h 15’). 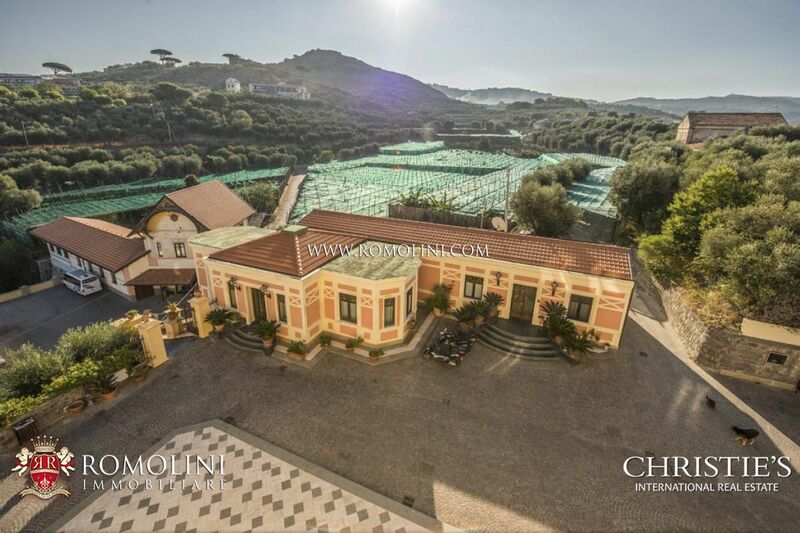 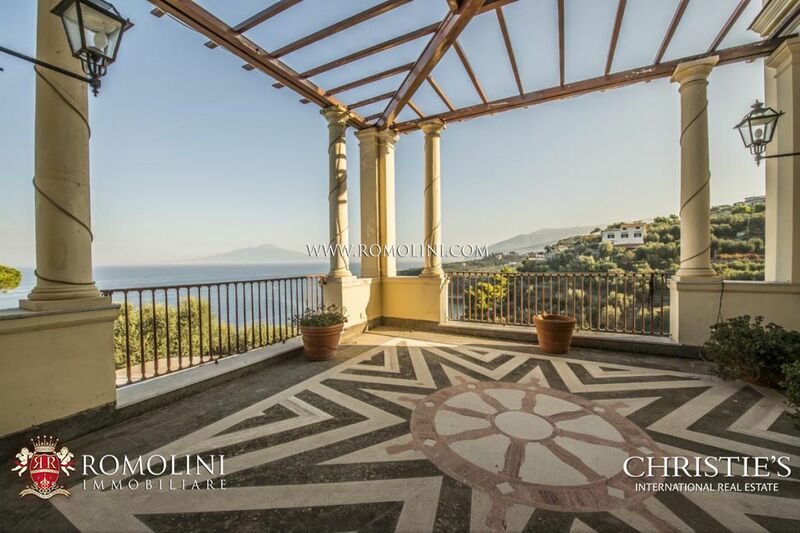 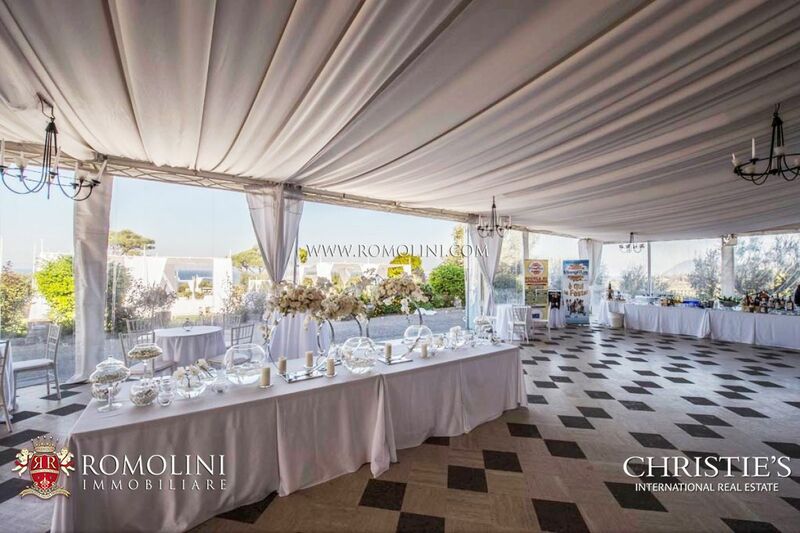 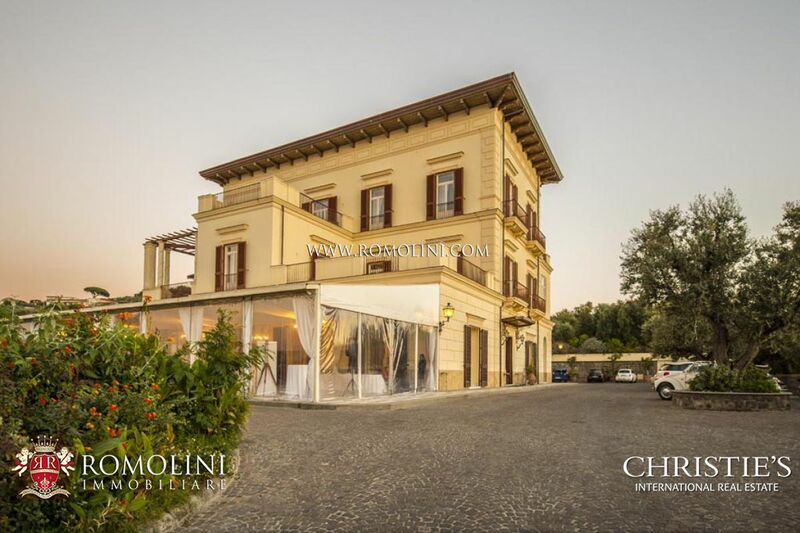 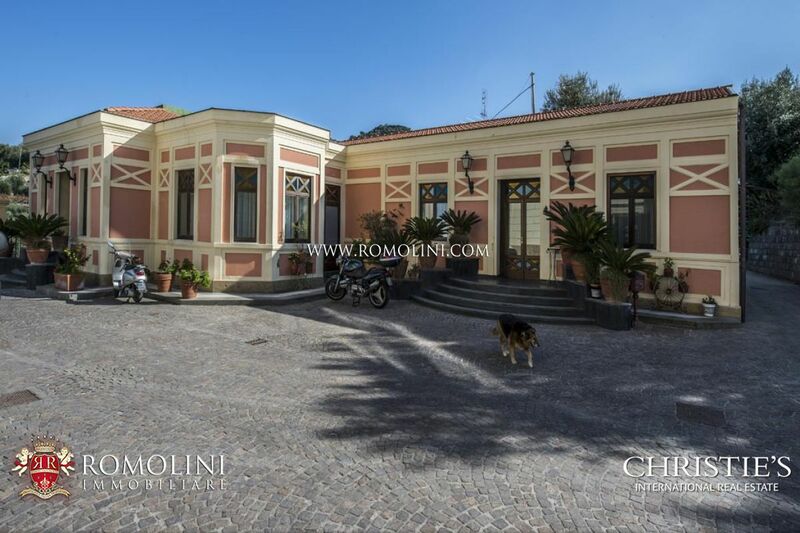 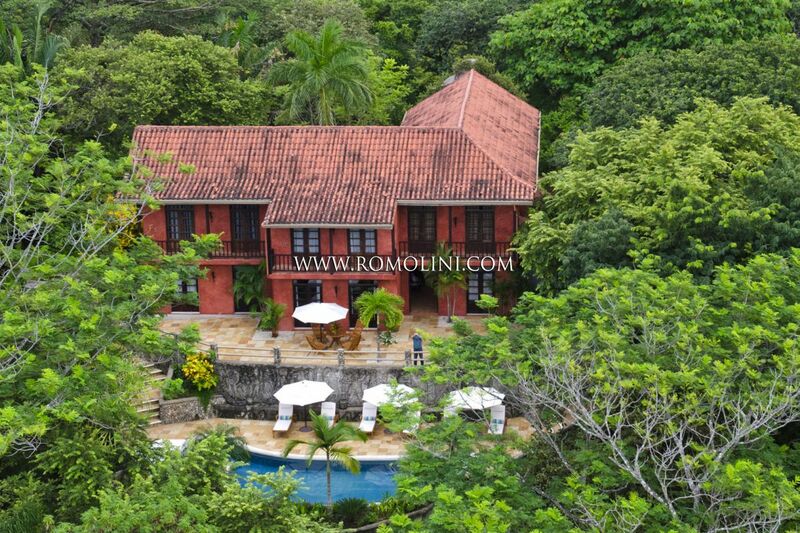 Located in a stunning seafront position, the villa (1,128 sqm – 12,137 sqft) dates back to the early 19th century and is currently working as a business structure. 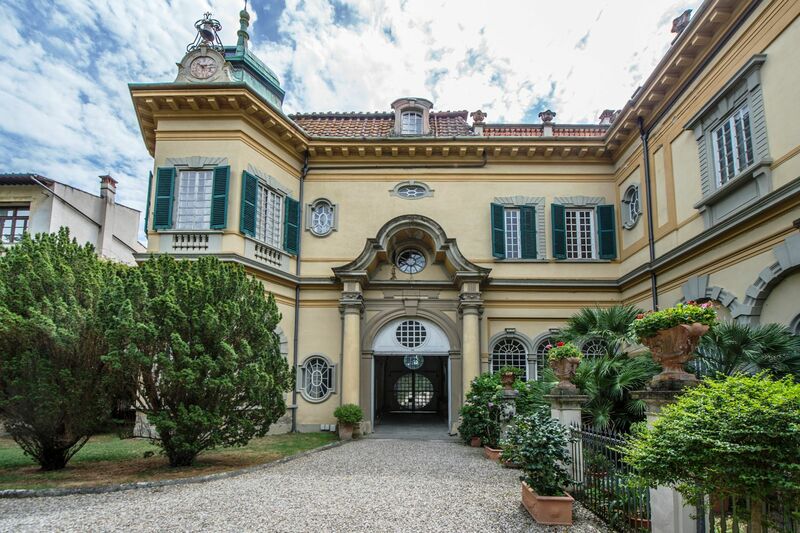 Laid out onto four floors connected through lifts, the mansion boasts large and bright lounges, currently used as boardrooms and meeting rooms. 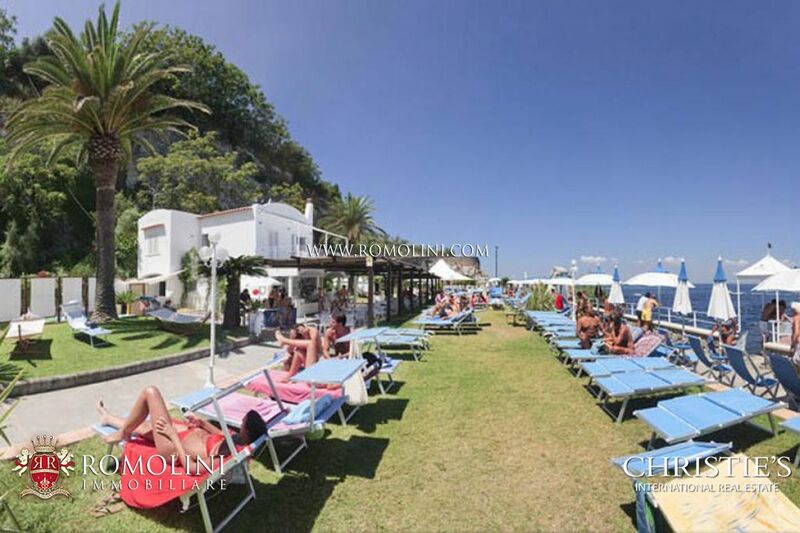 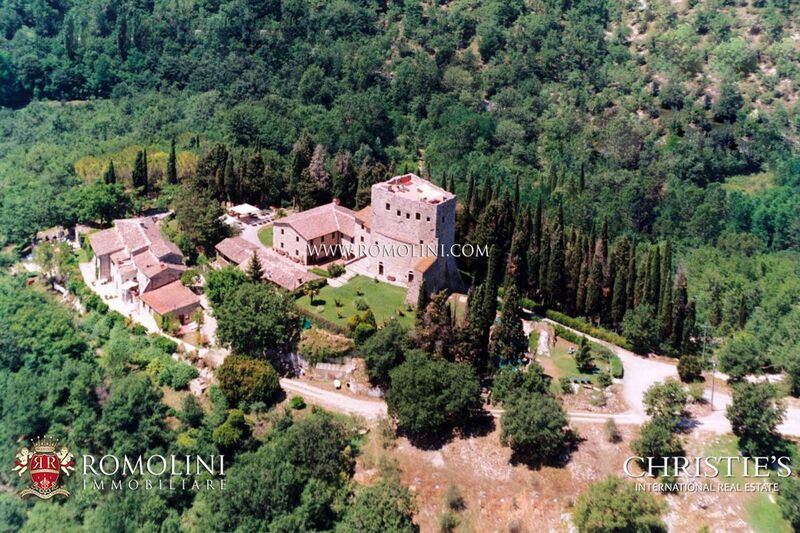 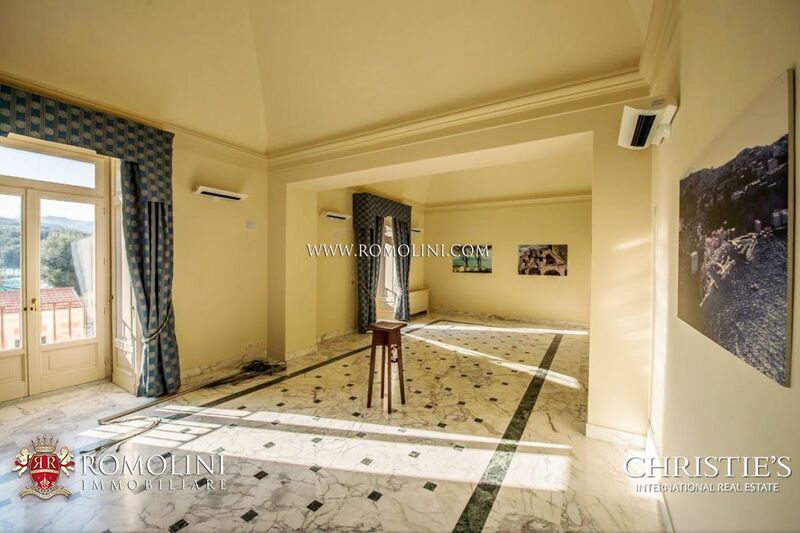 - Ground floor: large reception hall, covered terrace, bar, office, two toilet rooms. 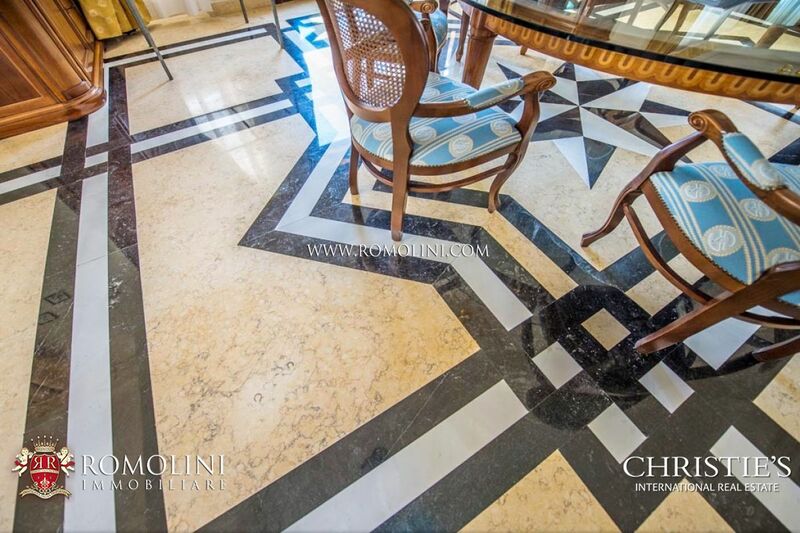 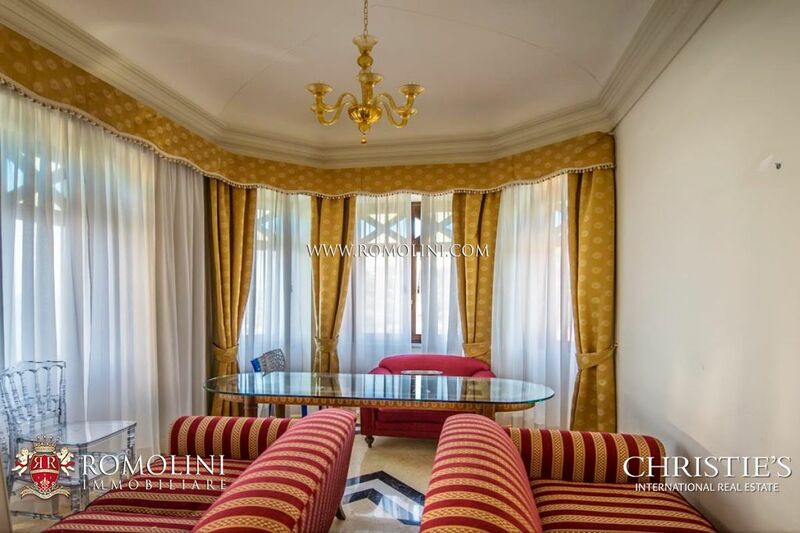 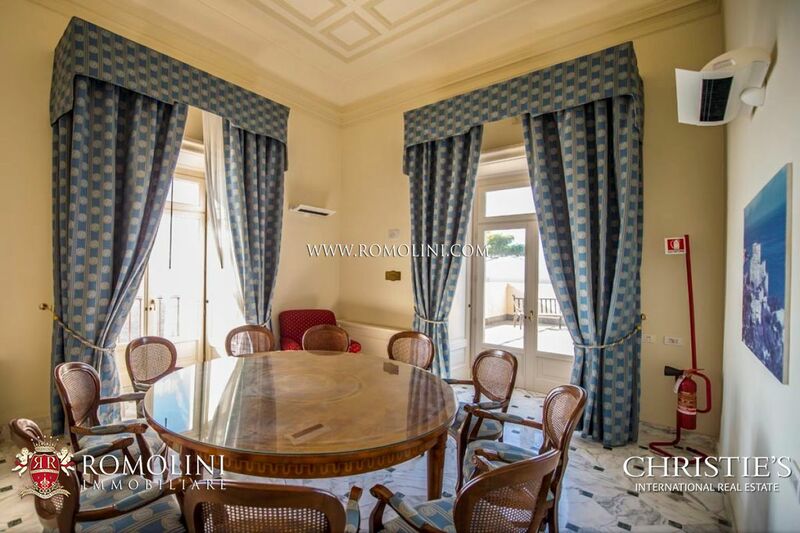 - First floor: five large reception rooms, one suite with en suite bathroom, two panoramic terraces. 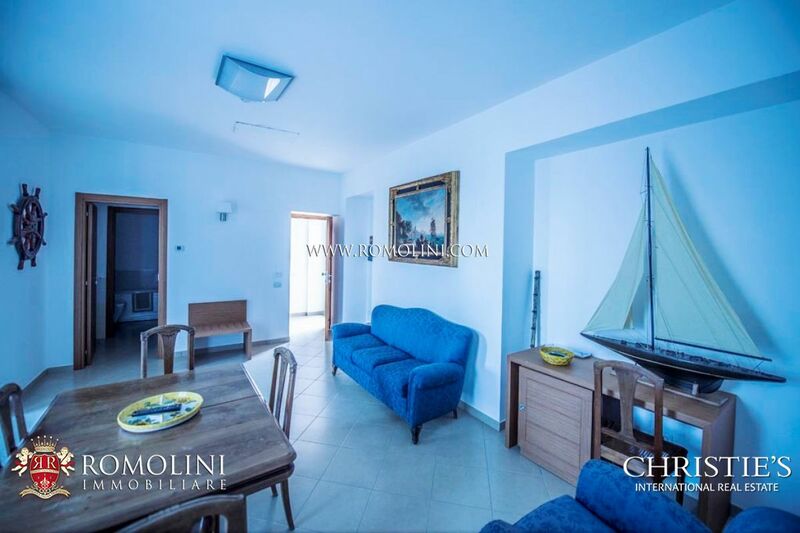 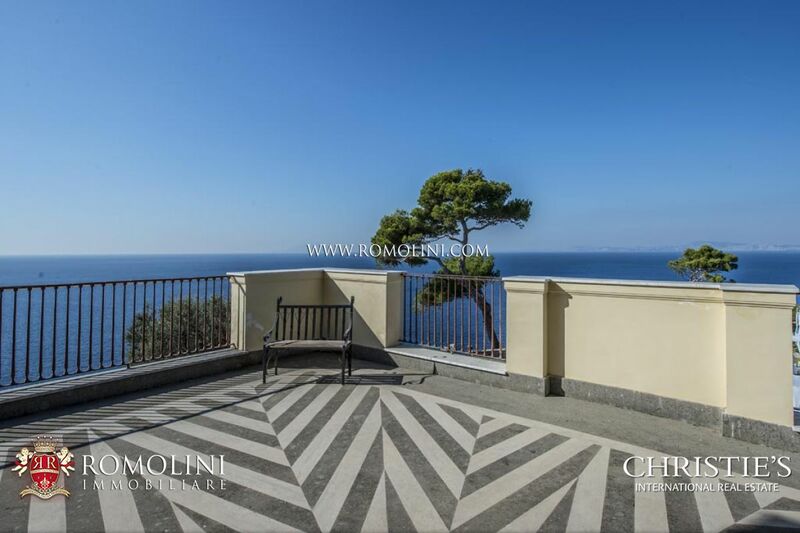 - Second and third floor: reception rooms, eleven bedrooms with en suite bathroom, terraces and balconies with gorgeous sea view. 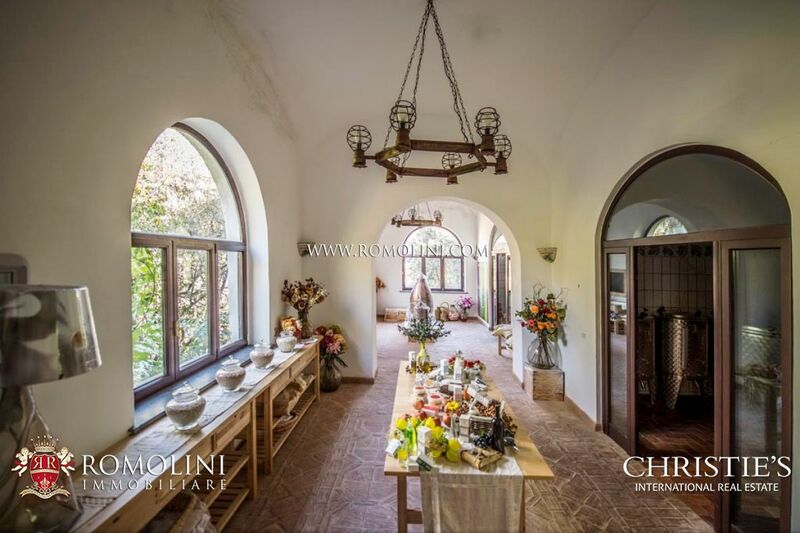 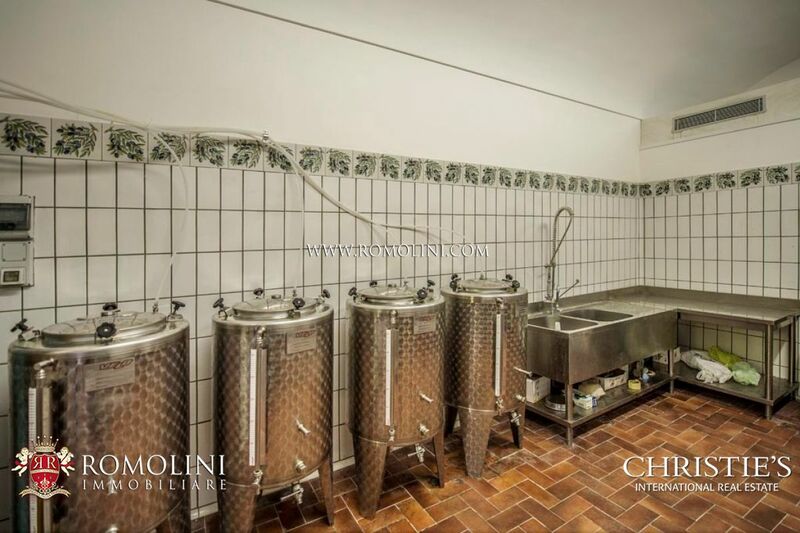 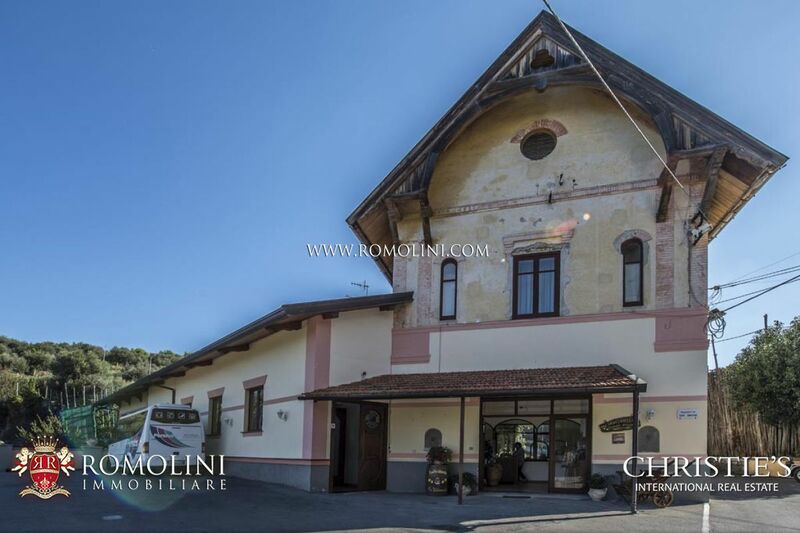 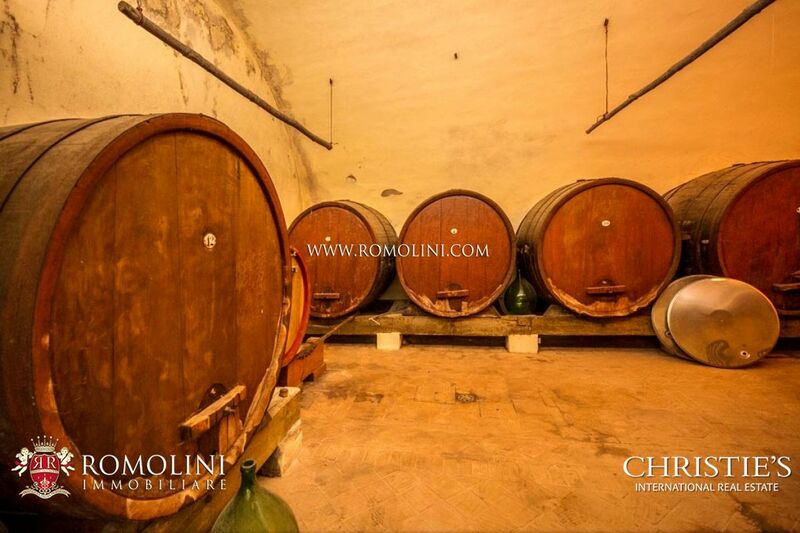 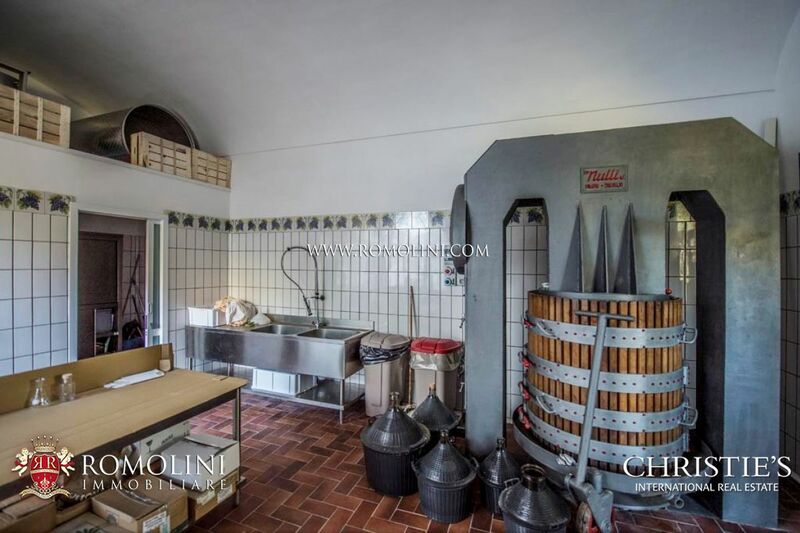 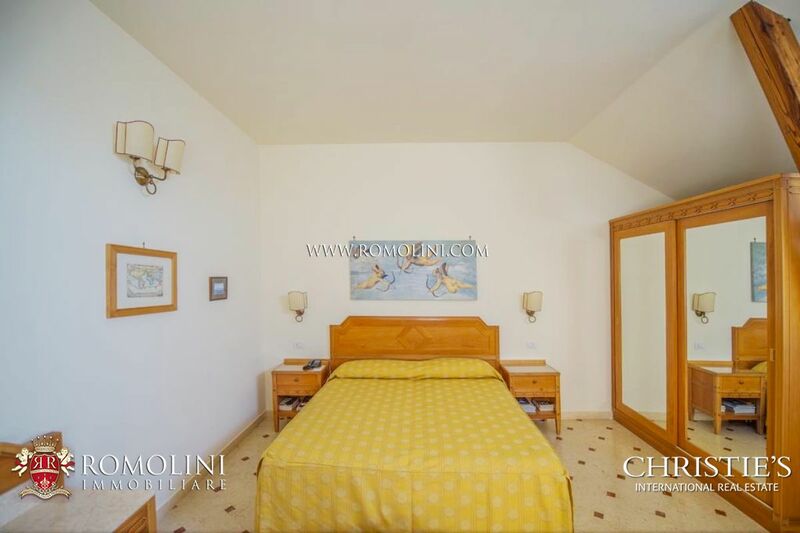 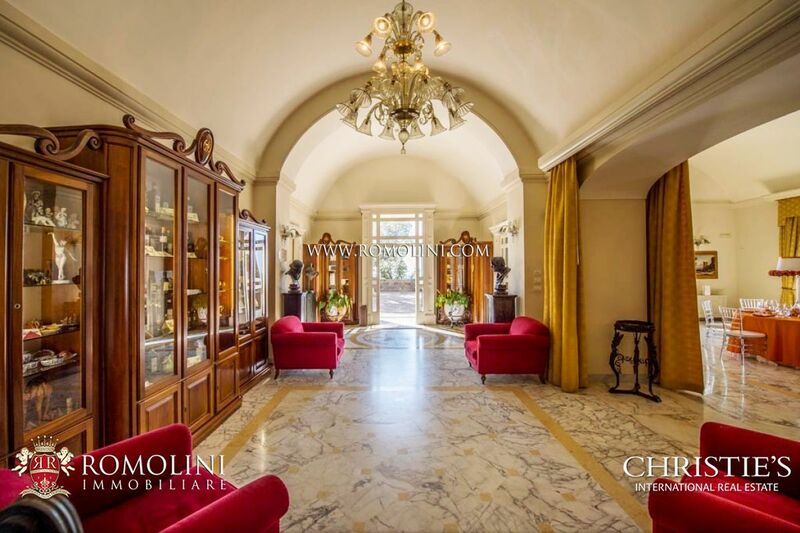 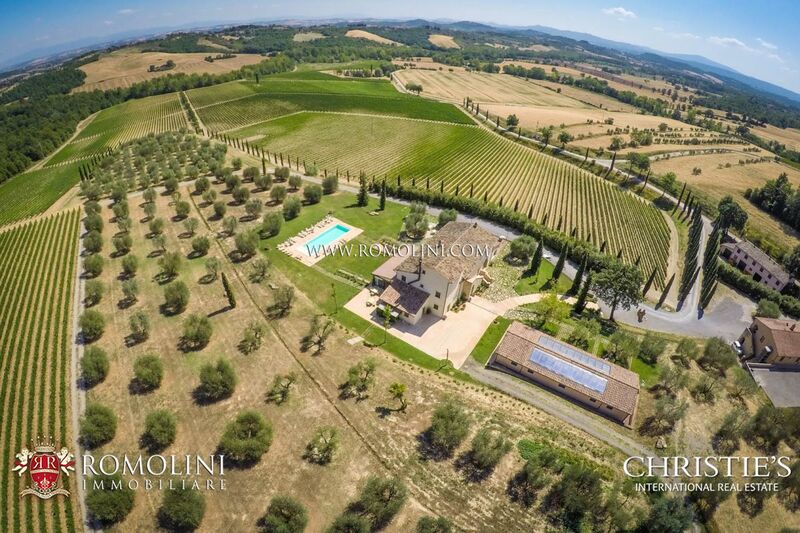 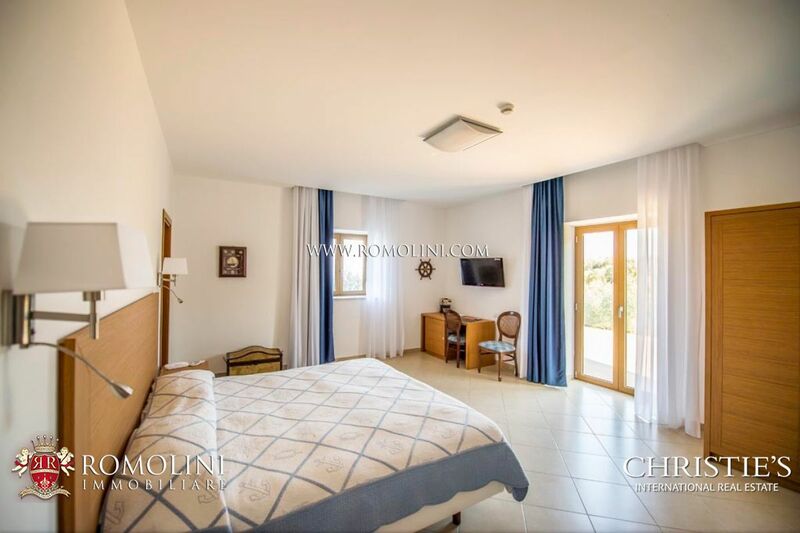 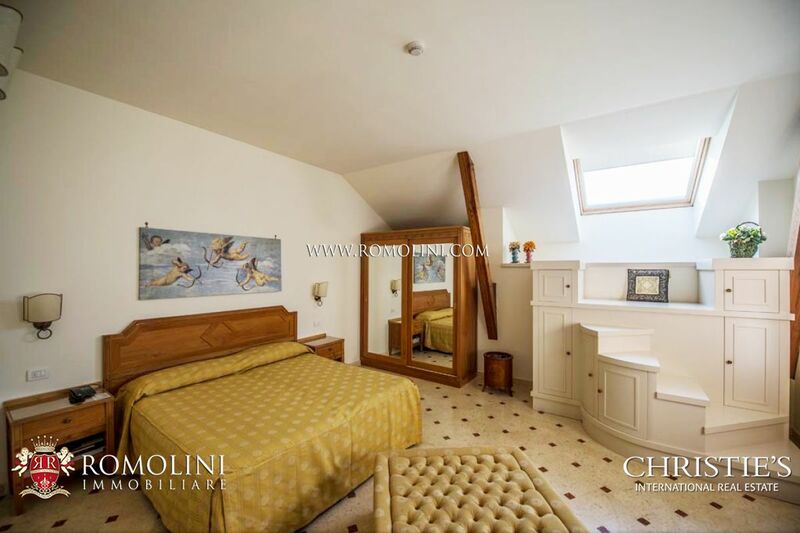 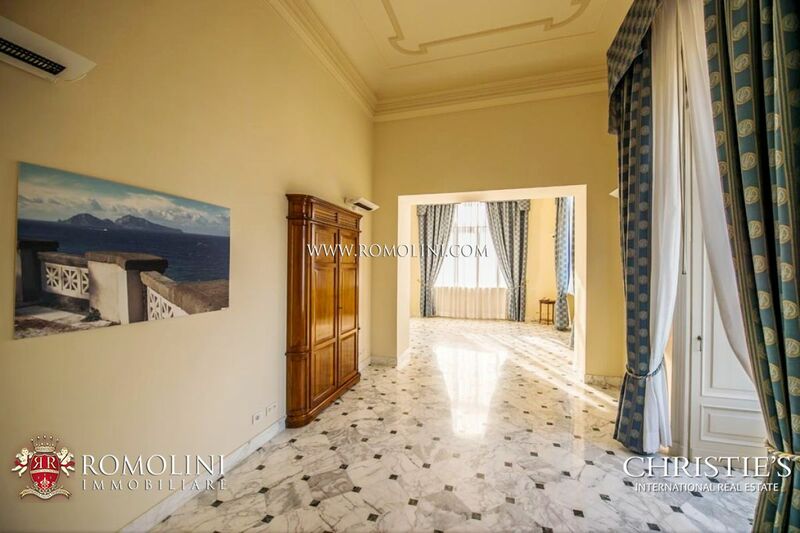 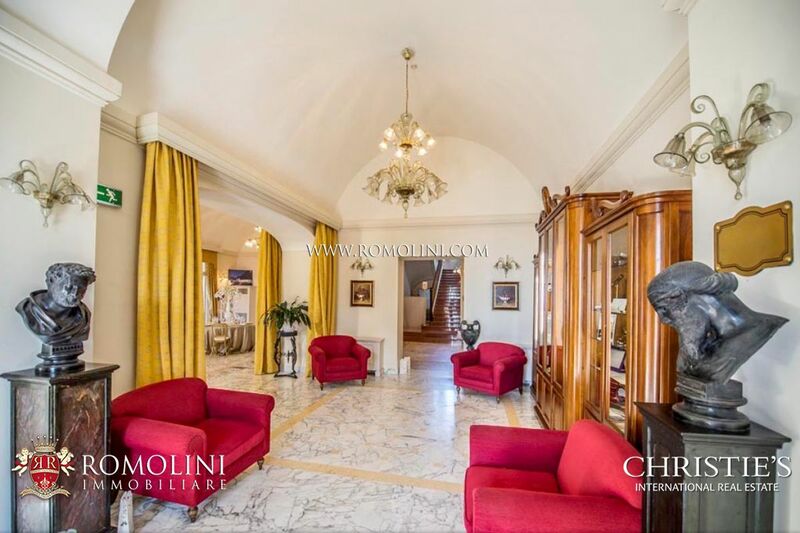 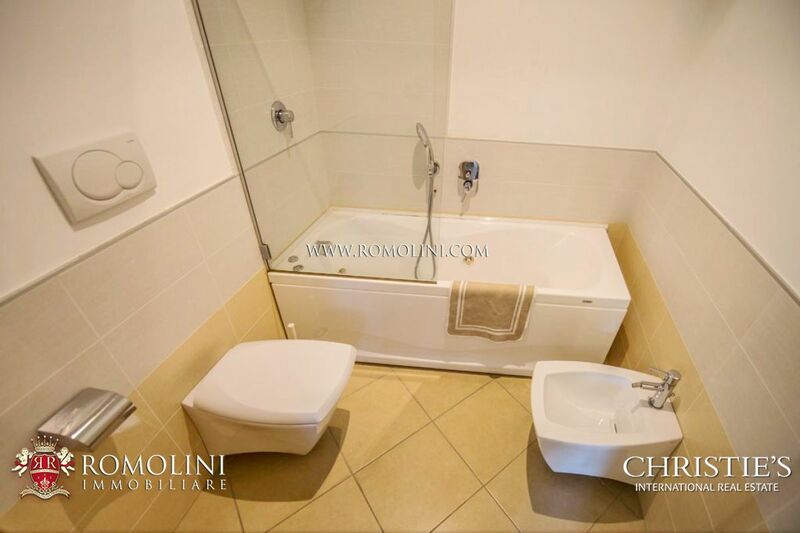 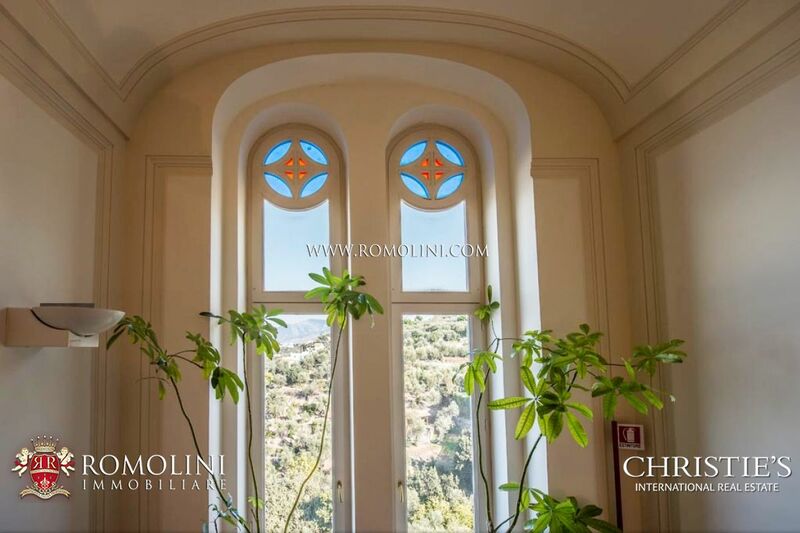 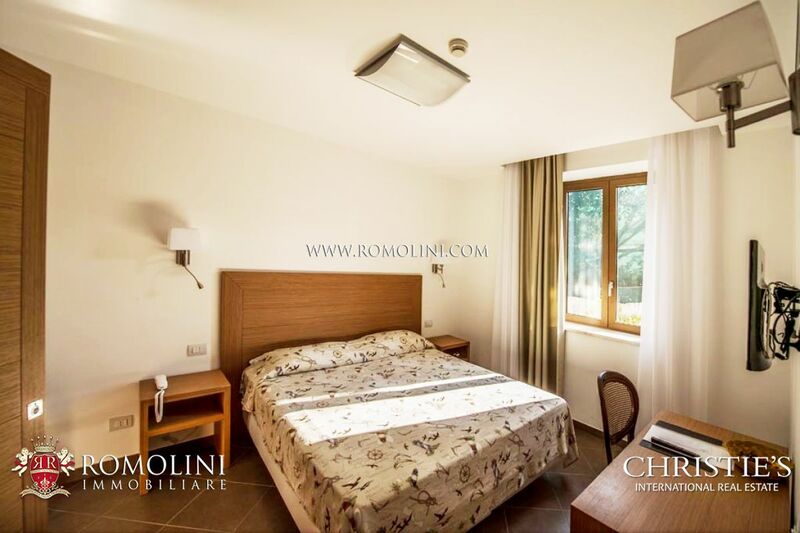 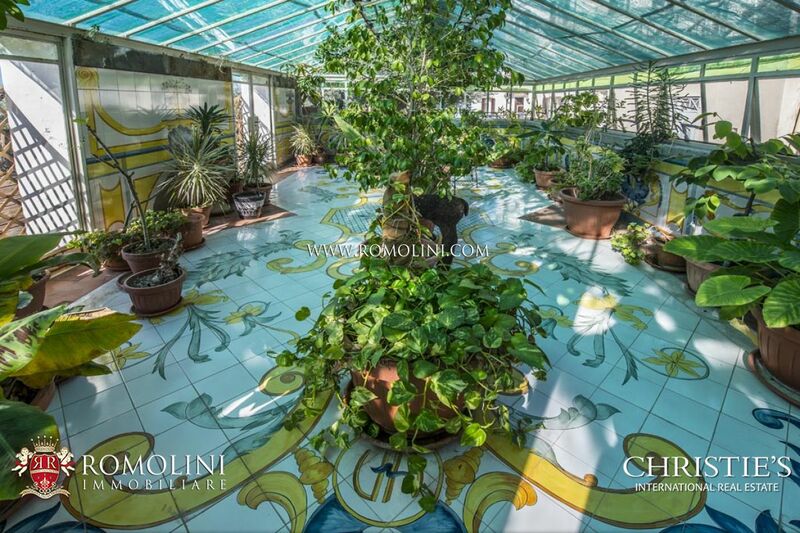 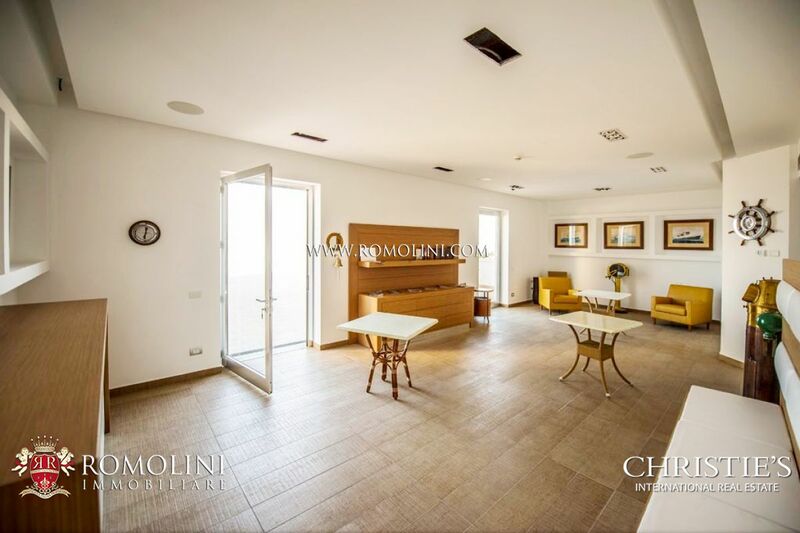 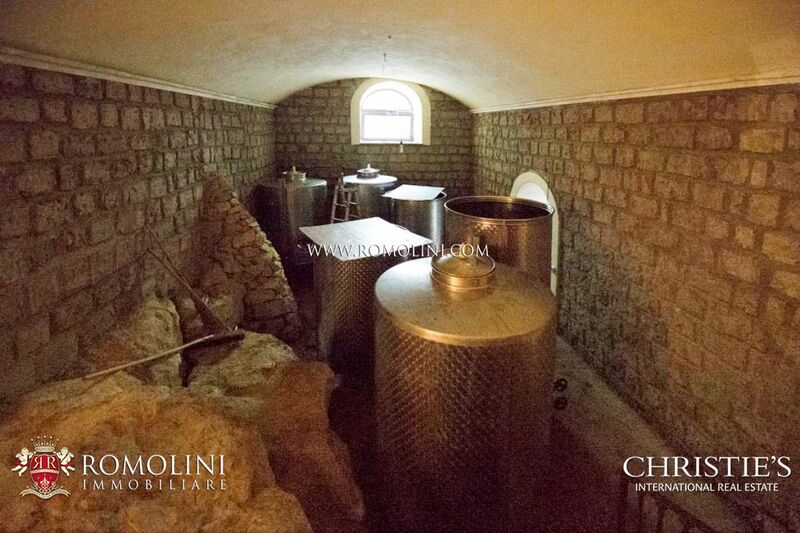 A fully restored outbuilding (460 sqm – 4,950 sqft) is linked with the main villa through an underground tunnel and hosts a museum, offices, a professional kitchen (with goods lift), storage rooms and the staff quarters. 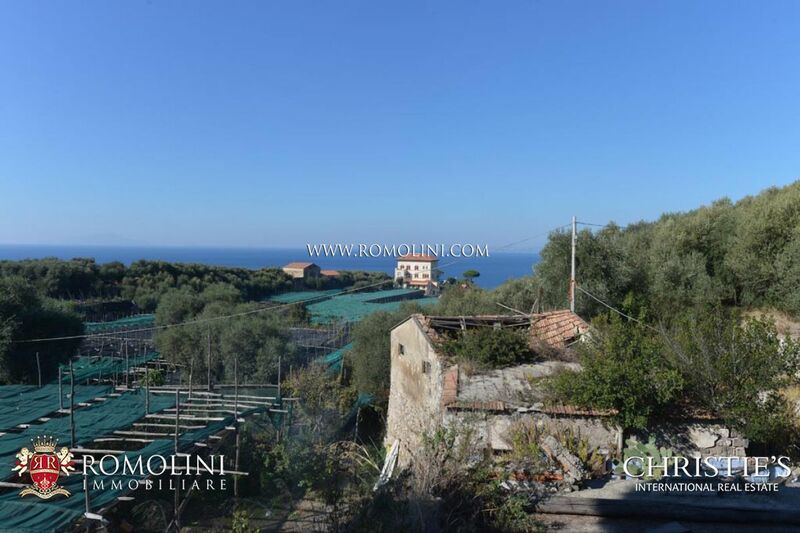 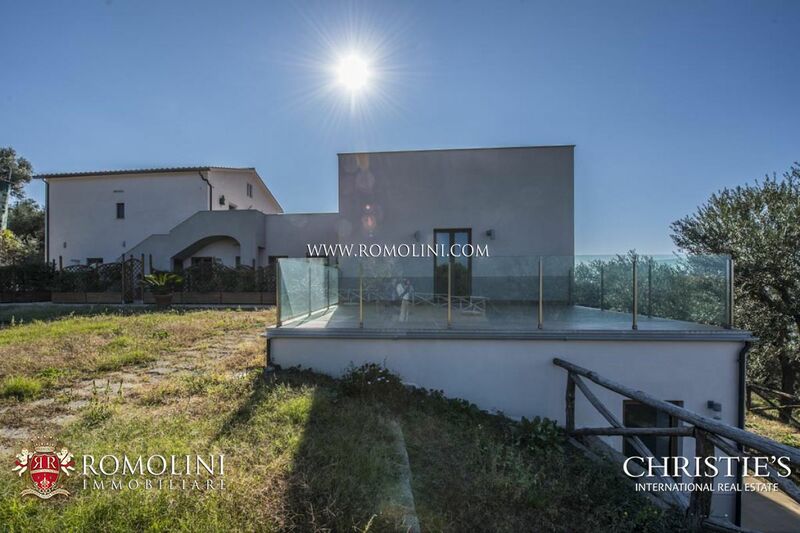 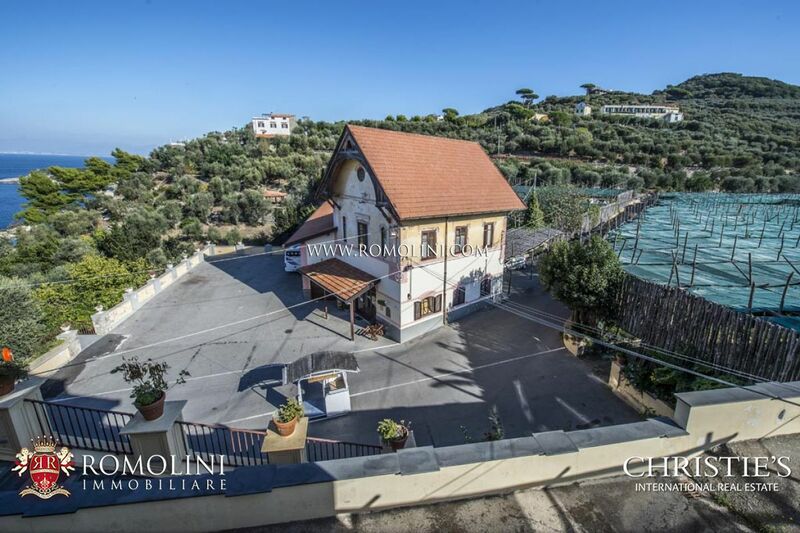 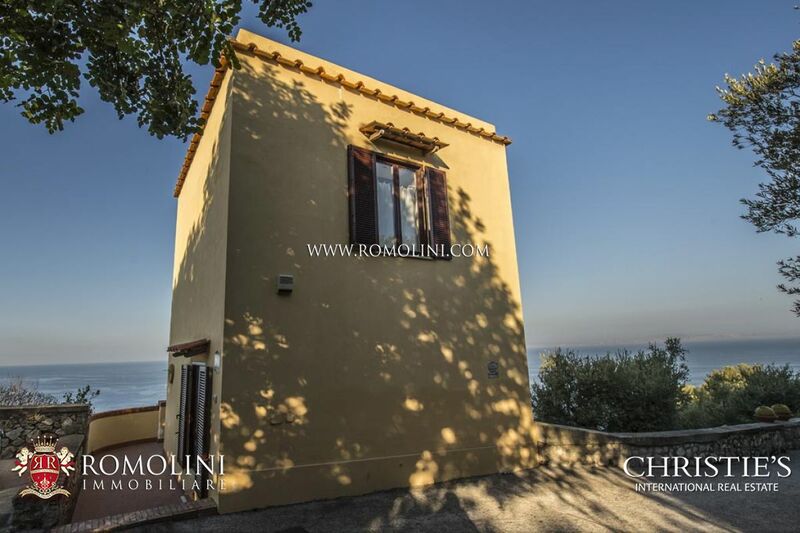 Located in a panoramic position, the farmhouse A (660 sqm – 7,102 sqft) has been recently refurbished and it boasts wonderful sea view terraces (510 sqm). 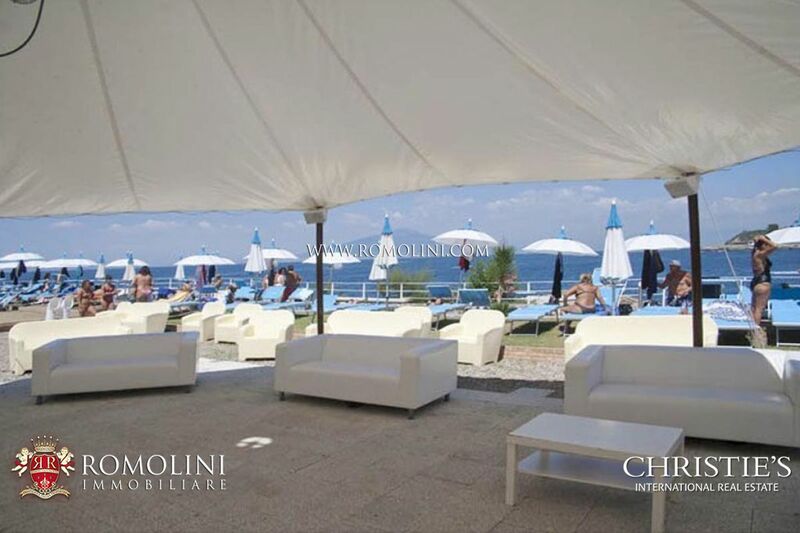 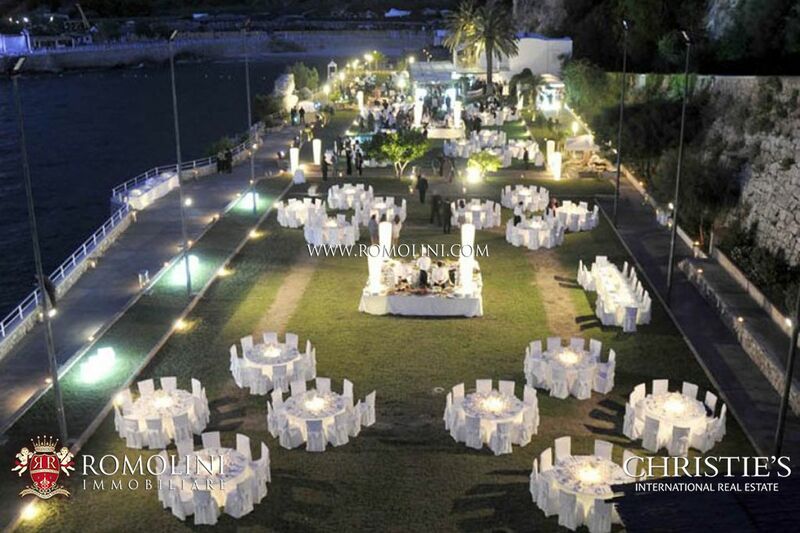 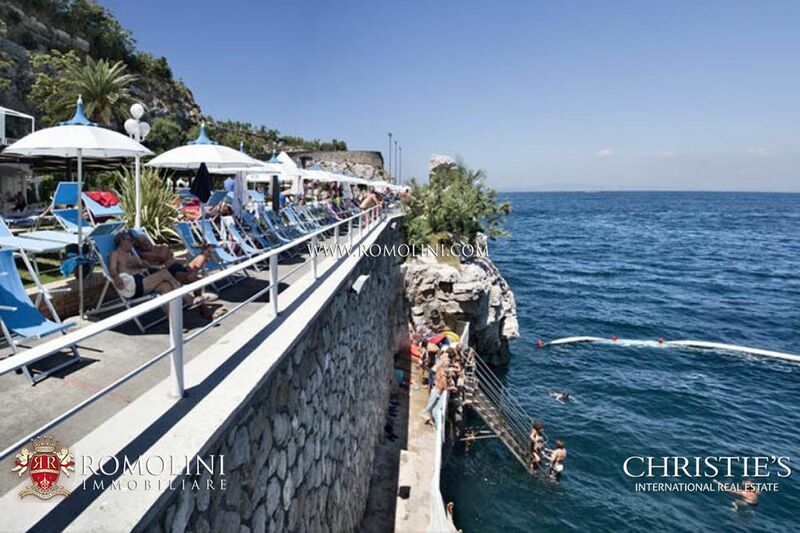 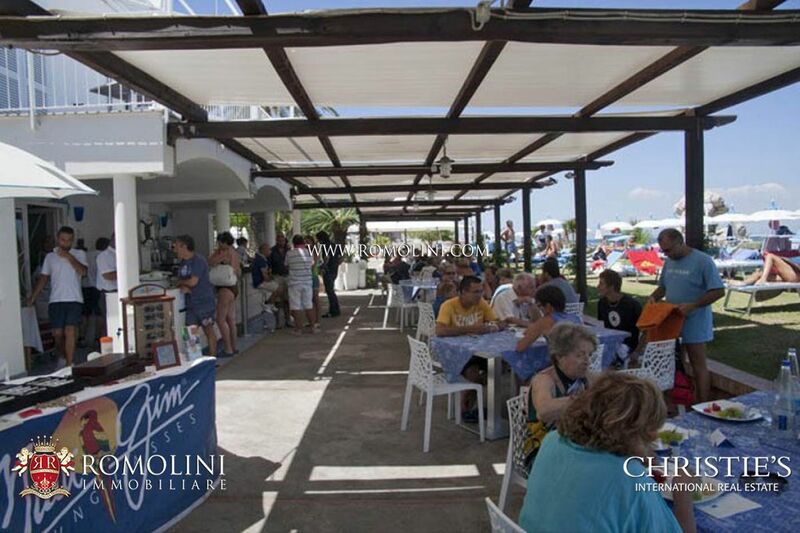 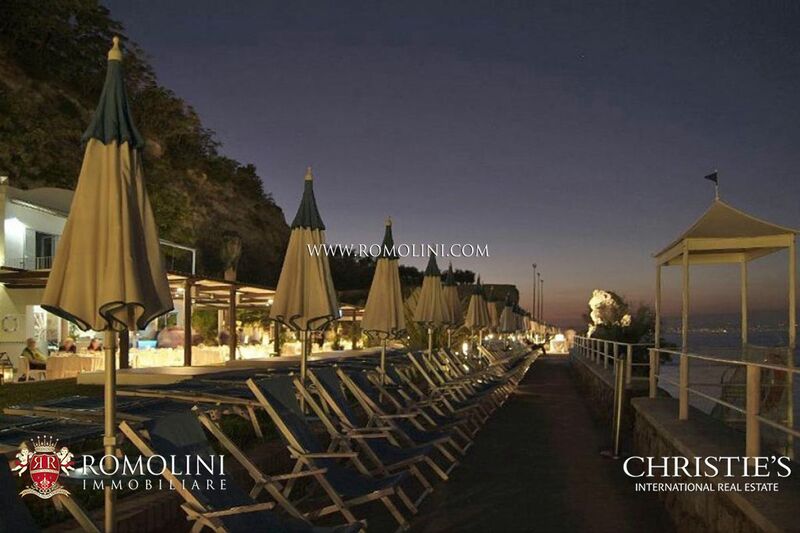 Arranged on two levels, the beach club with restaurant (2,000 sqm – 21,520 sqft) is set on a plateau to the sea. 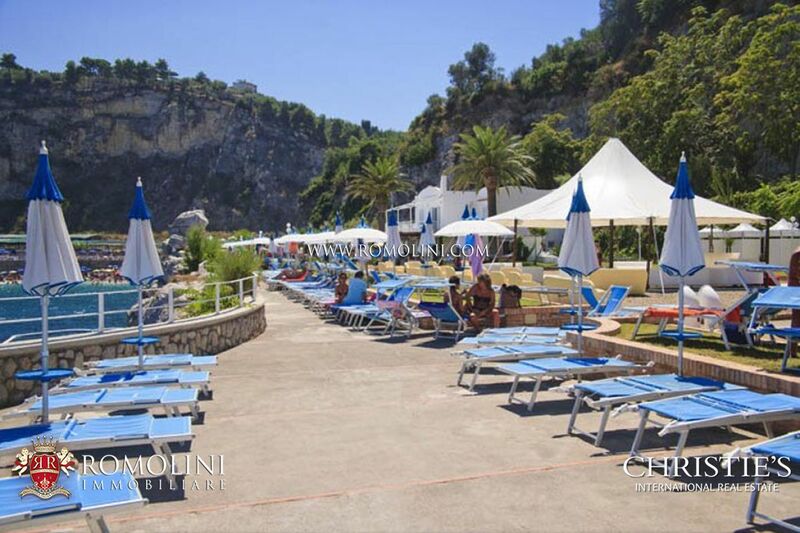 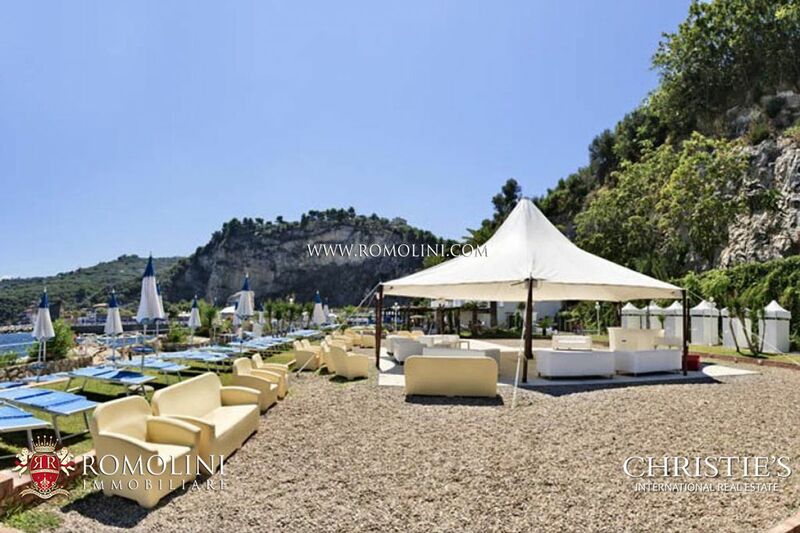 Linked to the beach club through an underground tunnel there are former quarries ideal for the realization of another private seaside beach club with facilities and access to the rocks. 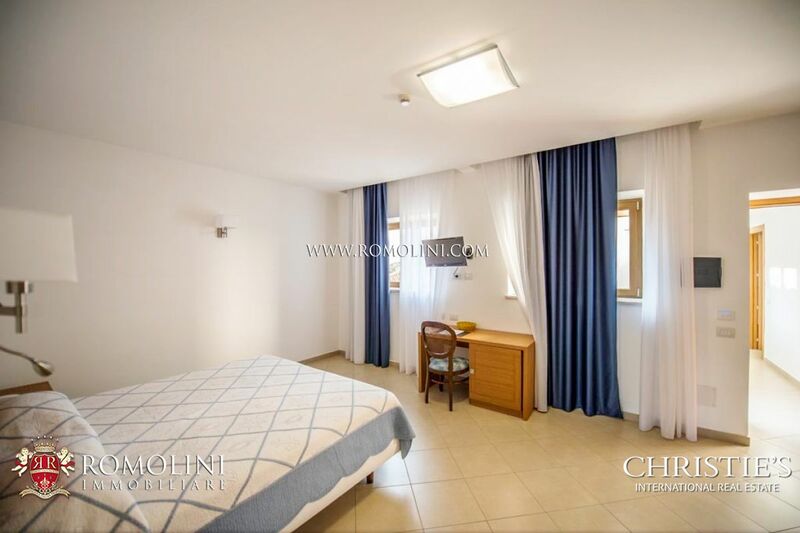 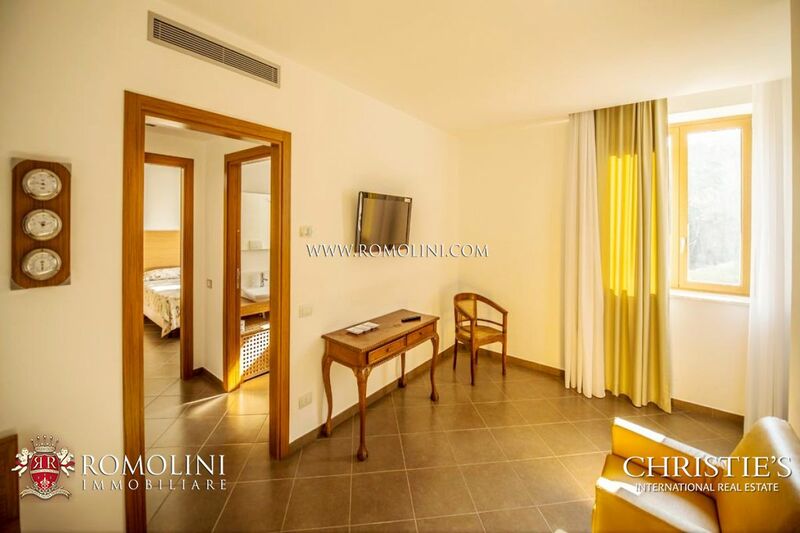 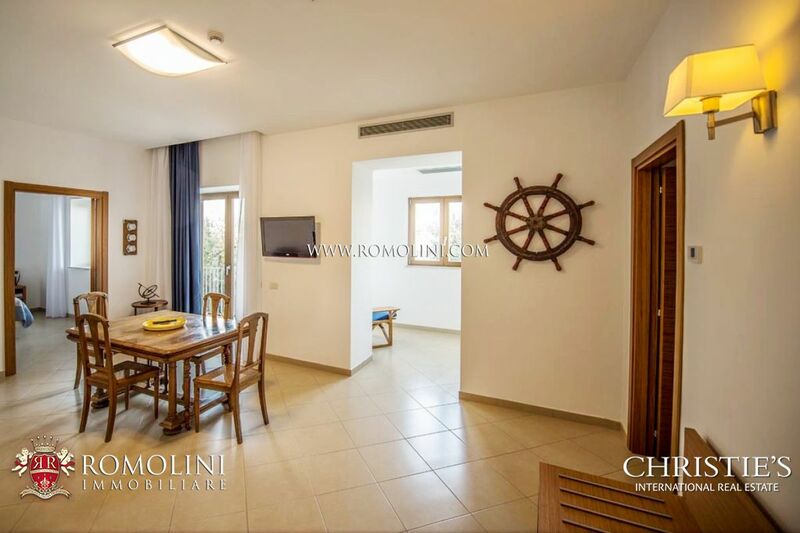 A completely renovated building (95 sqm – 1,022 sqft) hosts two independent suites. 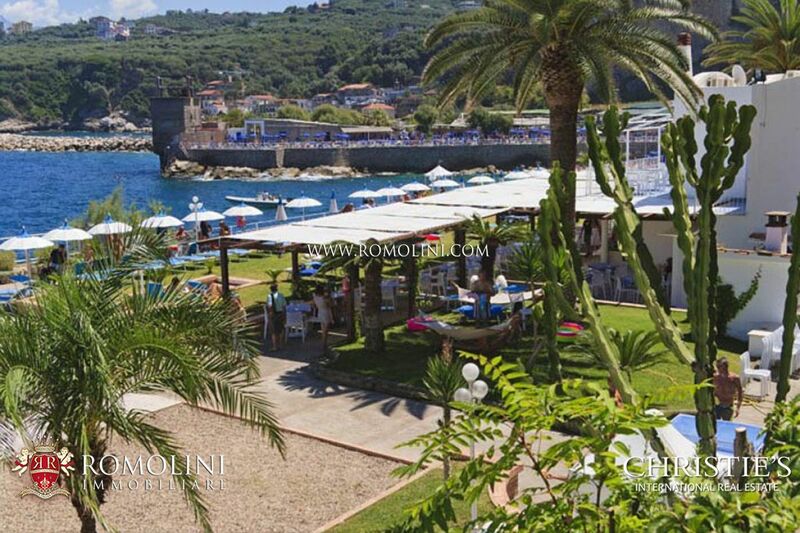 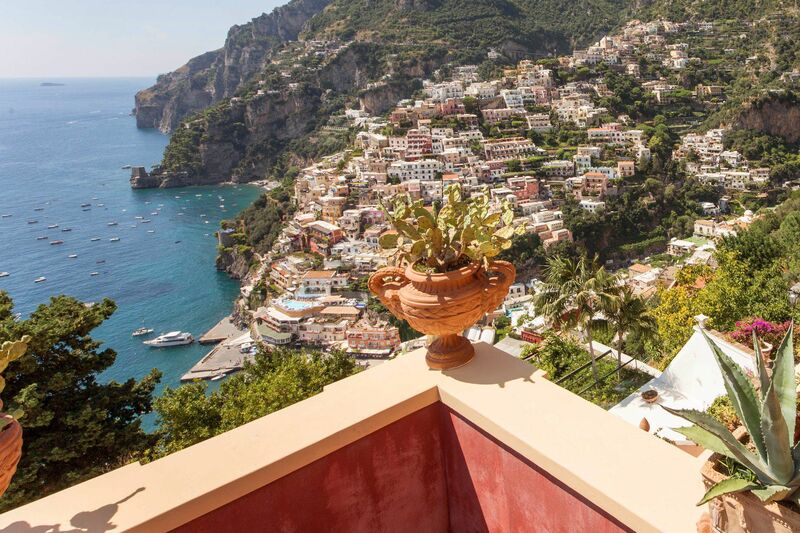 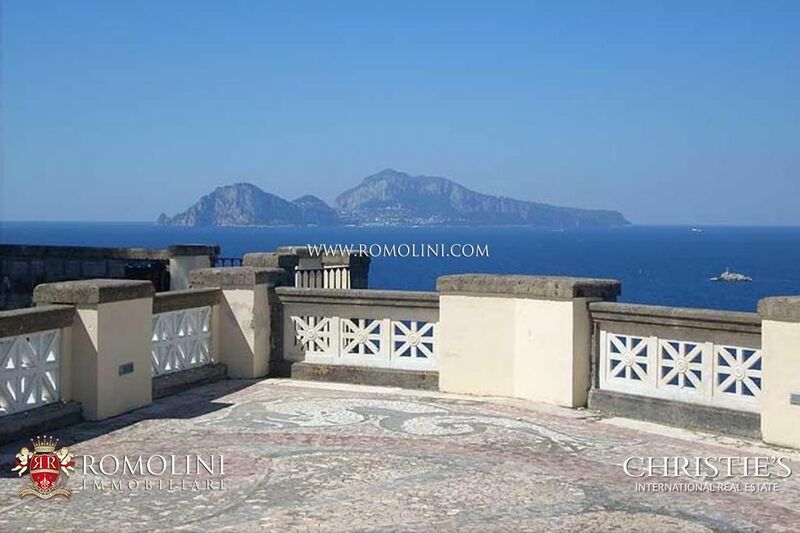 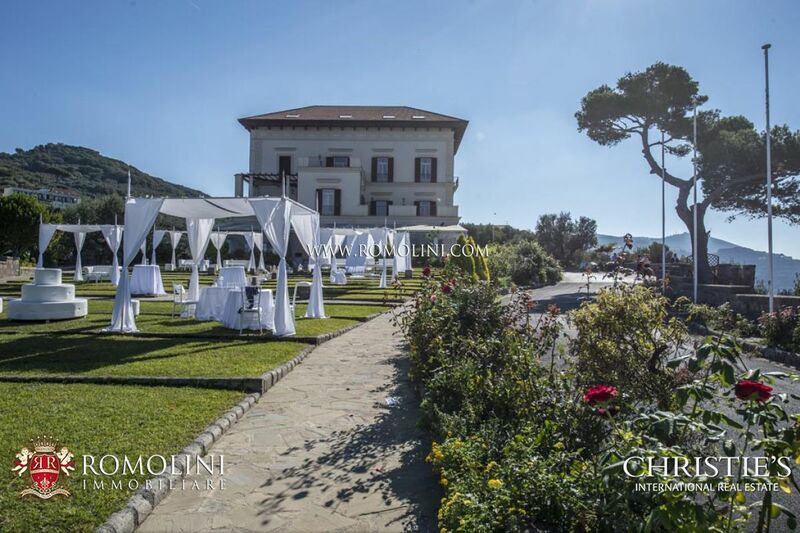 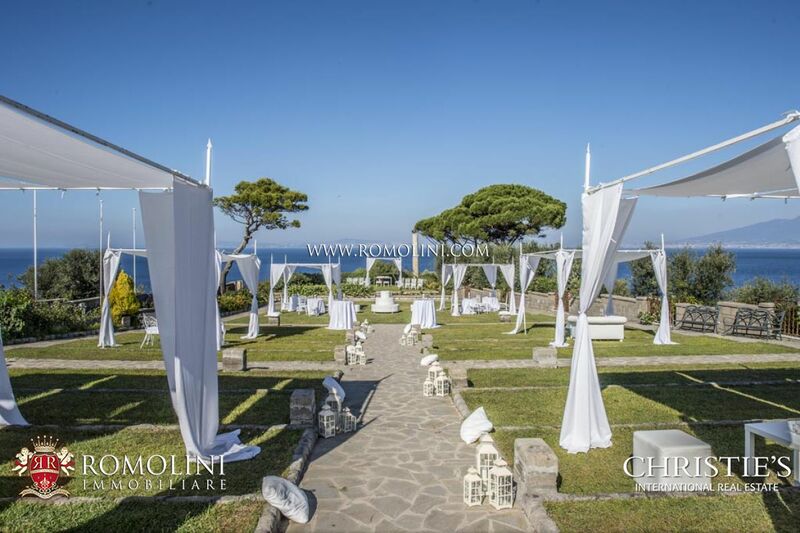 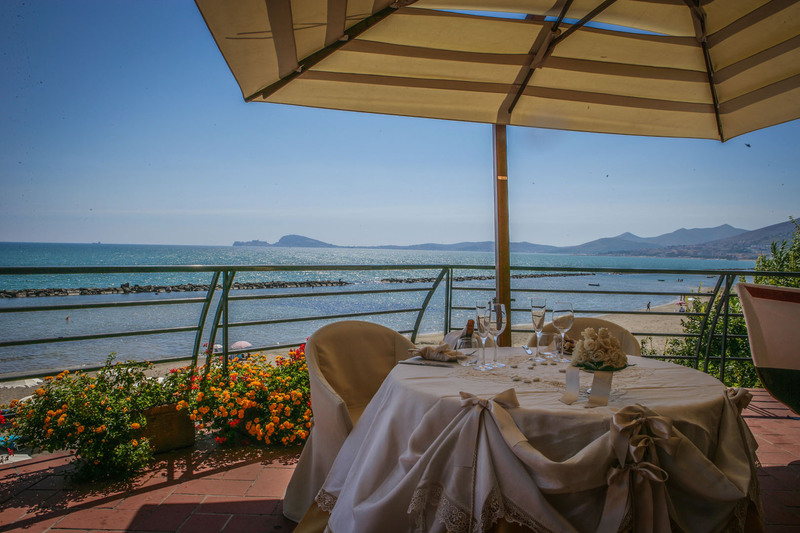 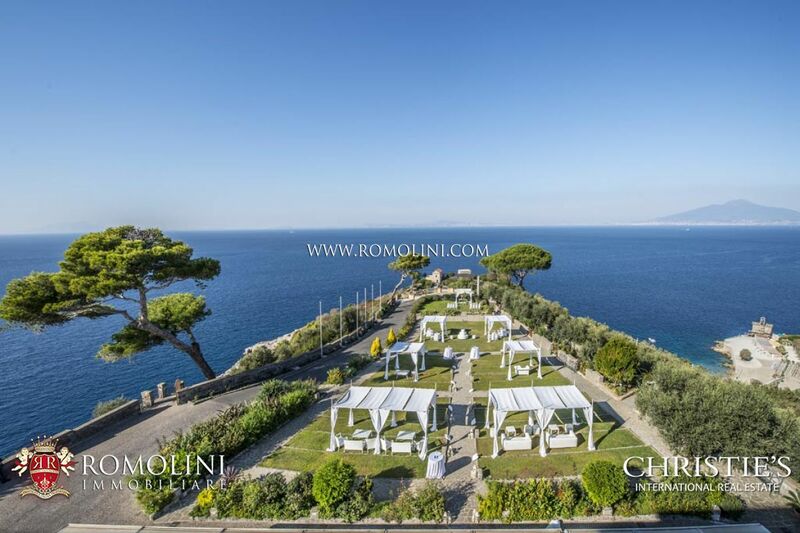 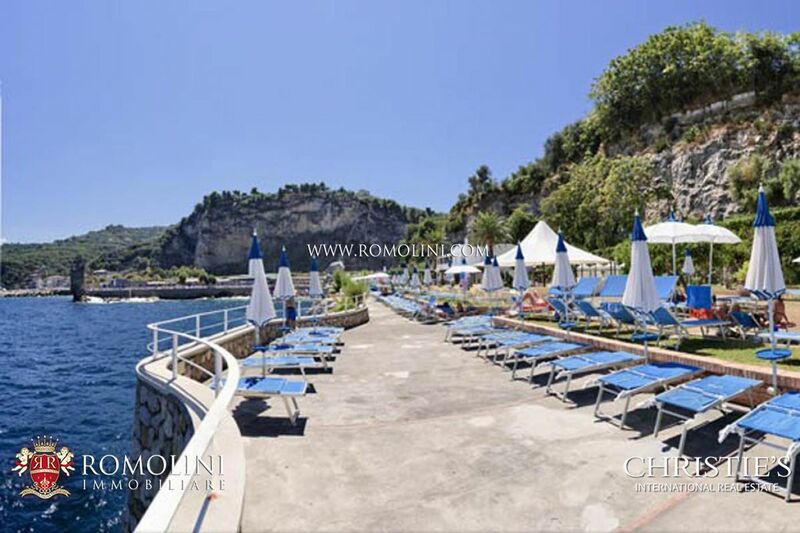 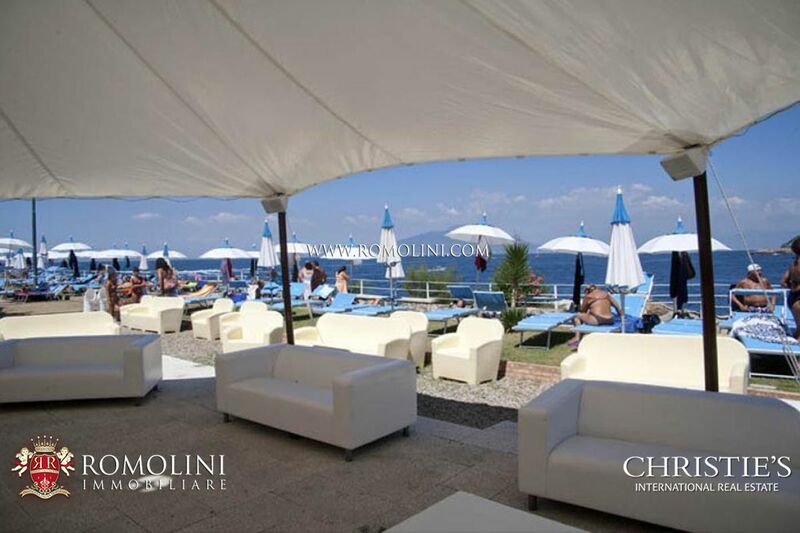 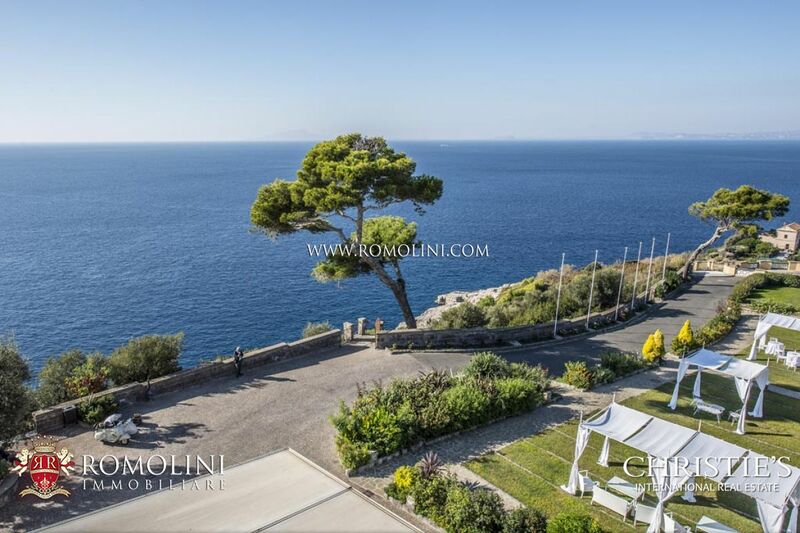 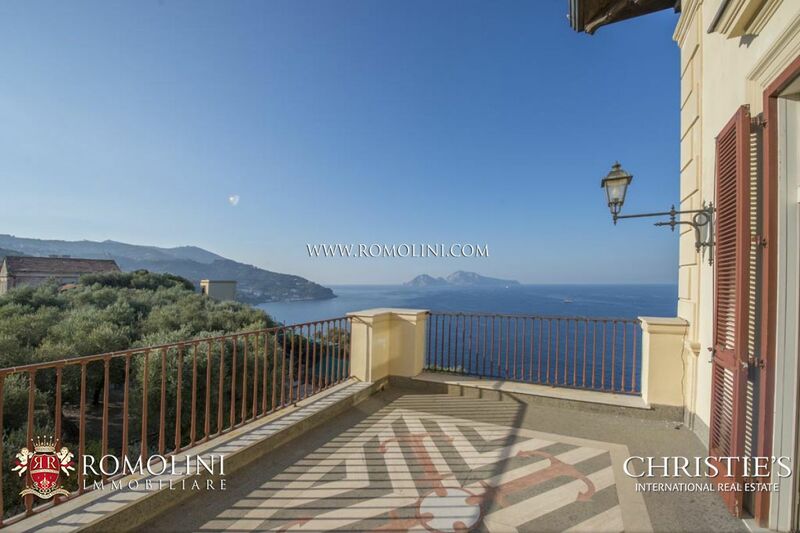 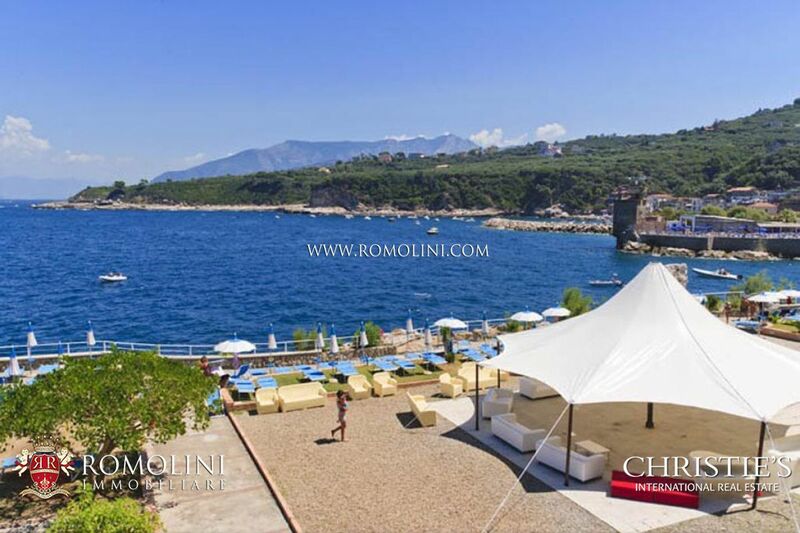 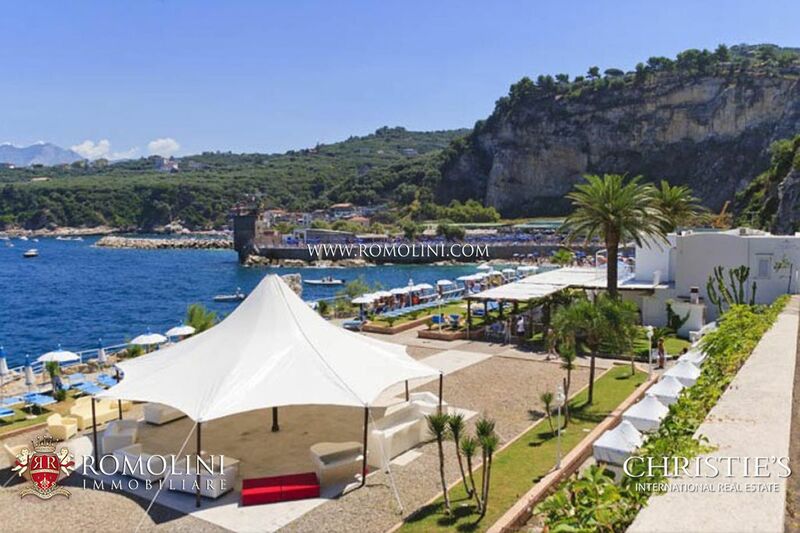 A completely restored lodging (660 sqm – 7,102 sqft), located in a panoramic position, has been recently refurbished and boasts wonderful sea view terraces. 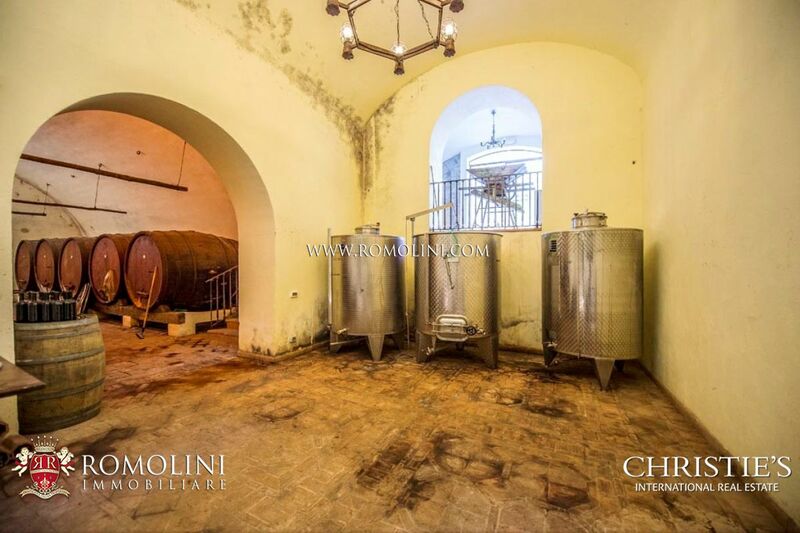 A partially renovated farmhouse (815 sqm – 8,769 sqft) hosts the caretaker’s house and a nice selling point for the products of the estate. 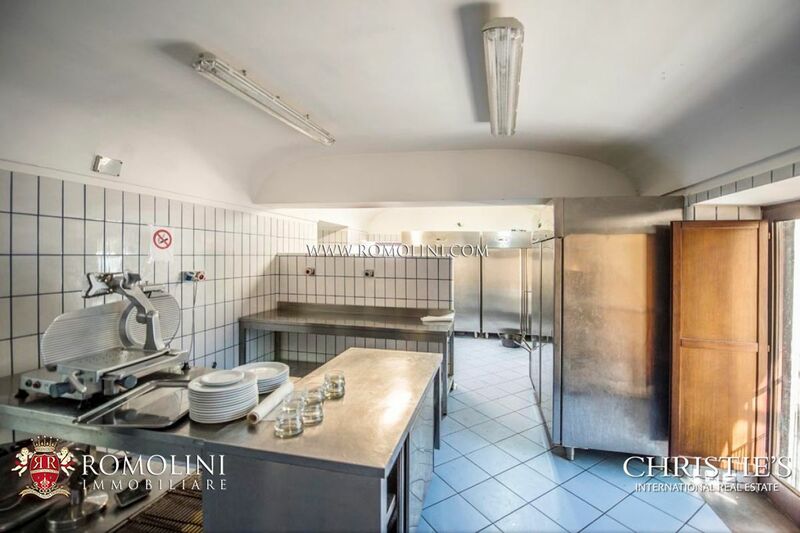 There are then farmhouse B (590 sqm – 6,348 sqft) and farmhouse C (864 sqm – 9,297) which are currently in need of renovation and could provide, once the works are completed, up to 26 residential units to be used in the hosting business. 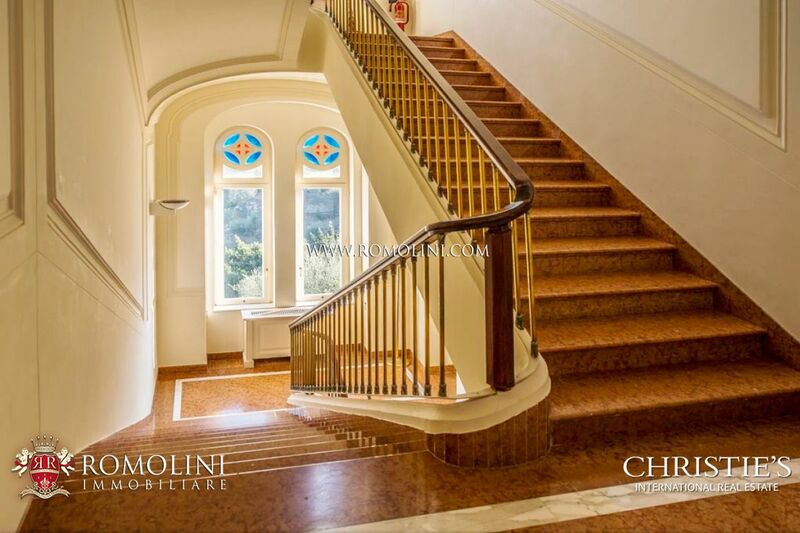 A nice church is included in the property. 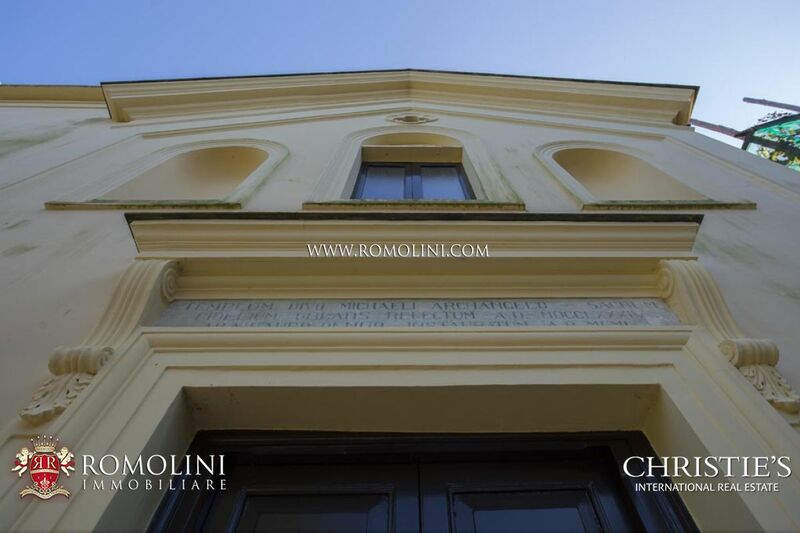 It is still consecrated and mass is held in the building once a month. 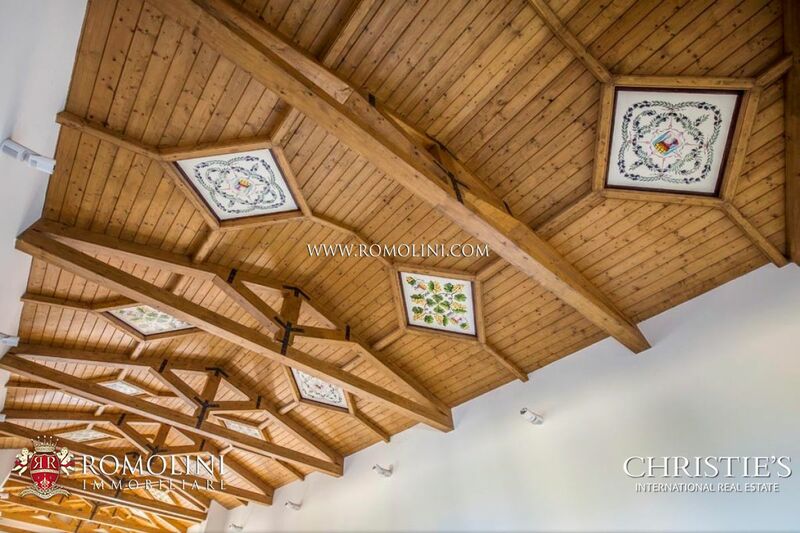 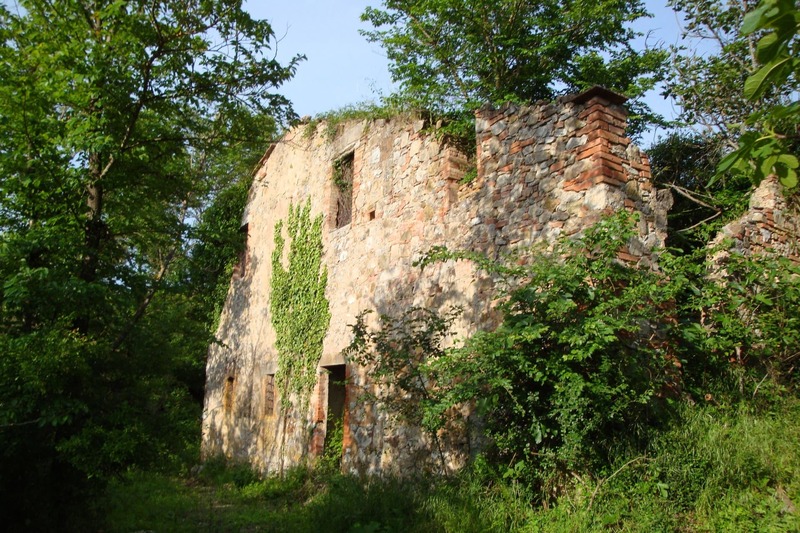 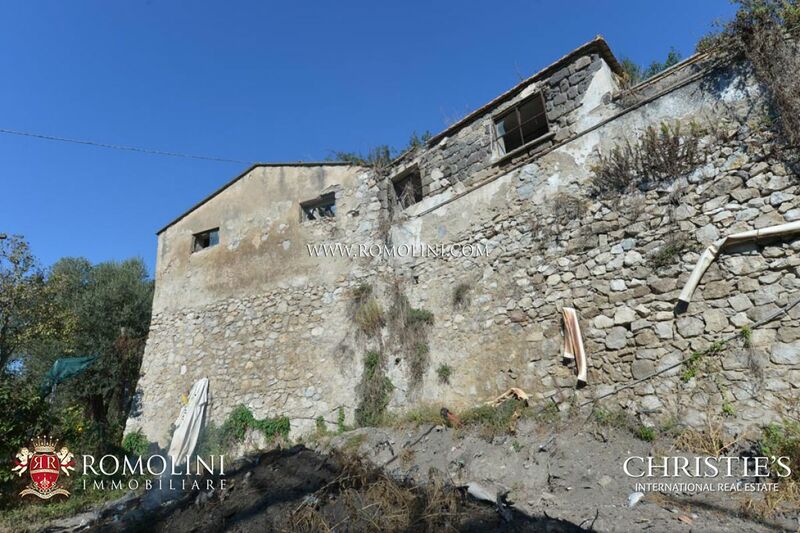 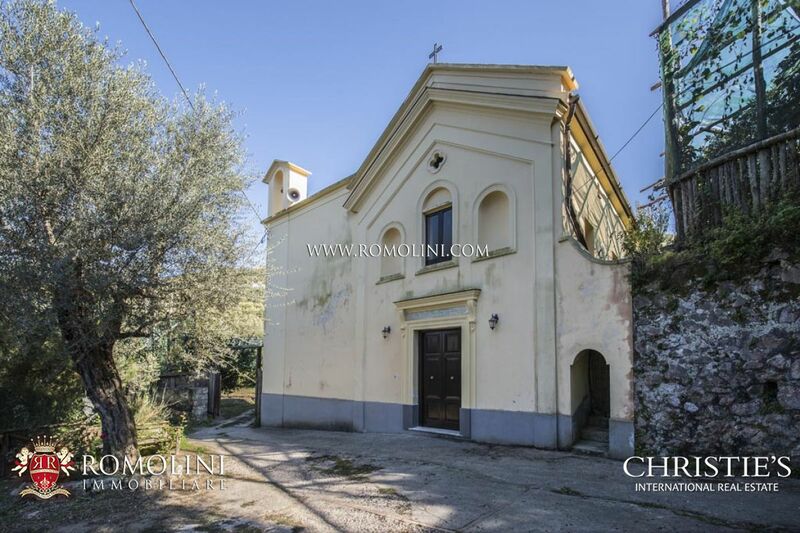 Right next to the church is located the last farmhouse D (400 sqm – 4,304 sqft), on two floors and in need of renovation, which would allow the creation of 5 units with rental purpose. 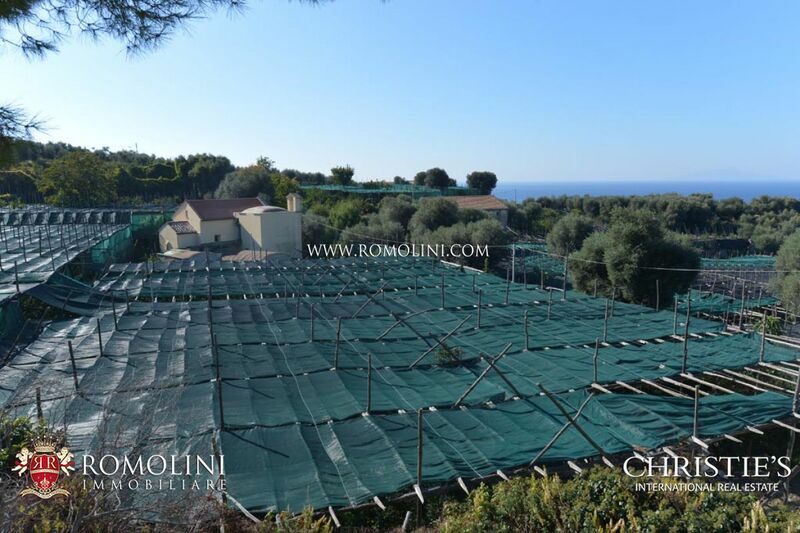 The farm covers approximately 24 hectares. 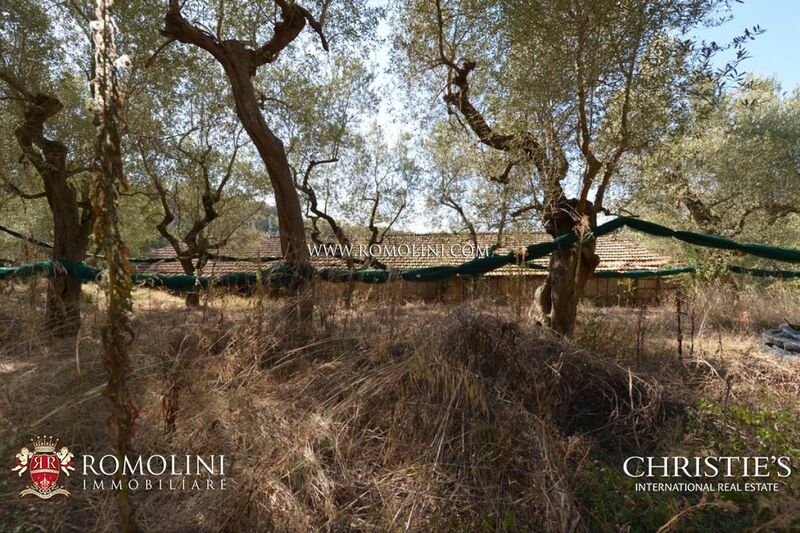 An olive grove (12.5 ha) hosts 4,300 trees which allows the production of a nice DOP Penisola Sorrentina extra virgin olive oil. 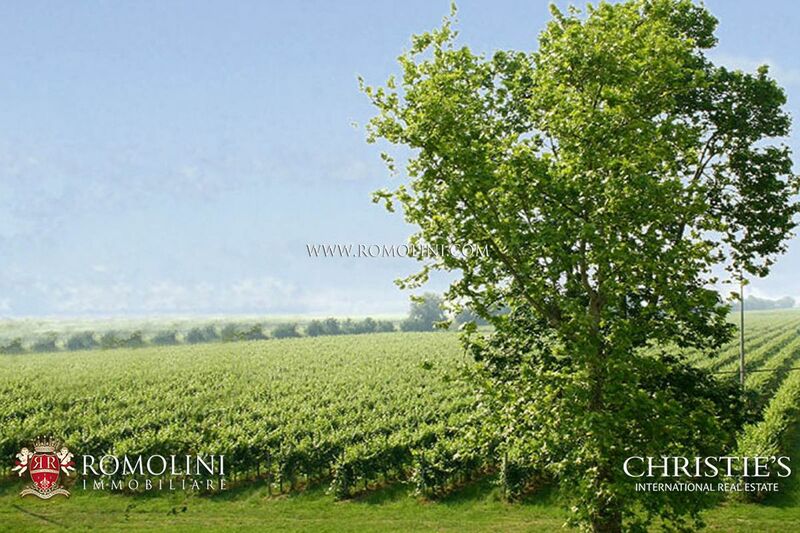 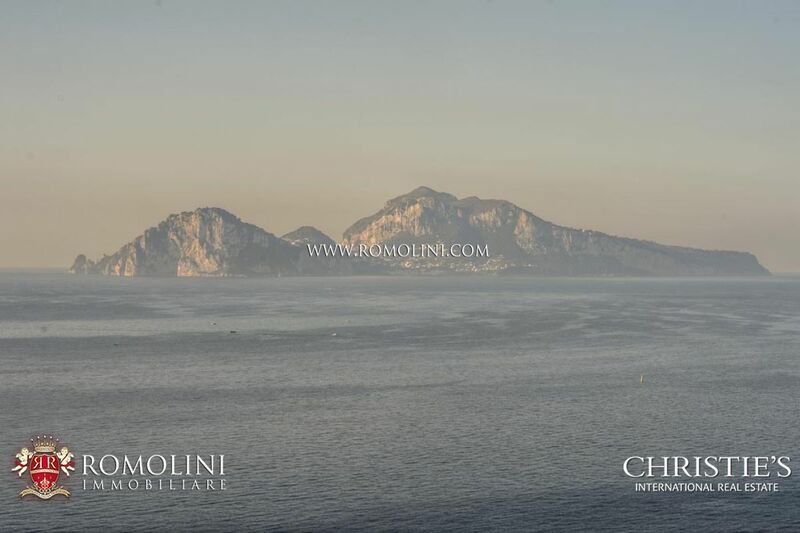 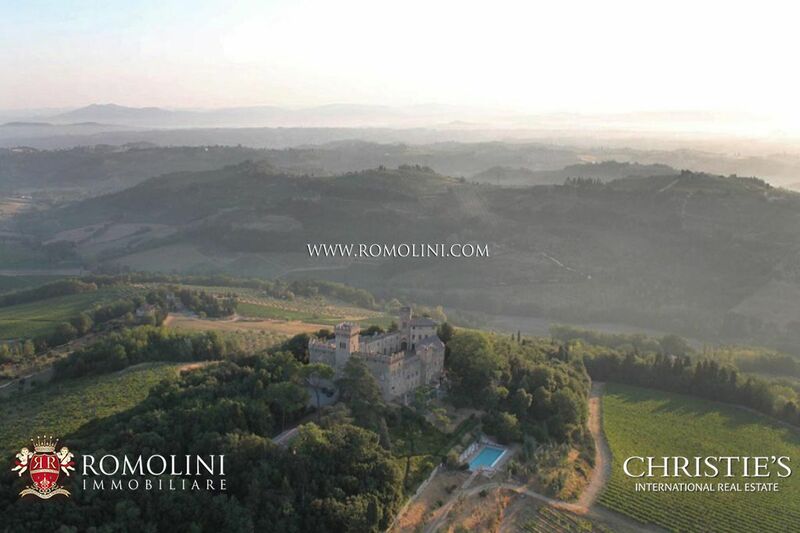 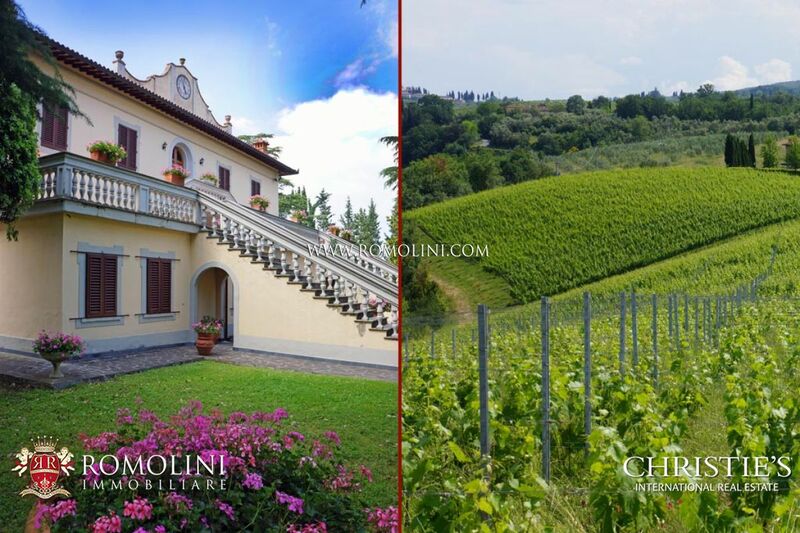 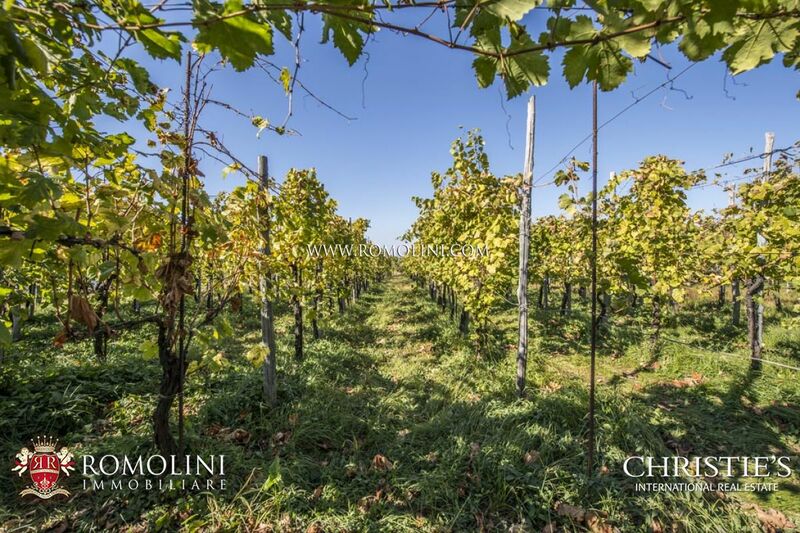 The vineyards (4 ha) is made up of Falanghina, Piedirosso, Aglianico and Caprettone vines and allows producing the Sorrento DOC. 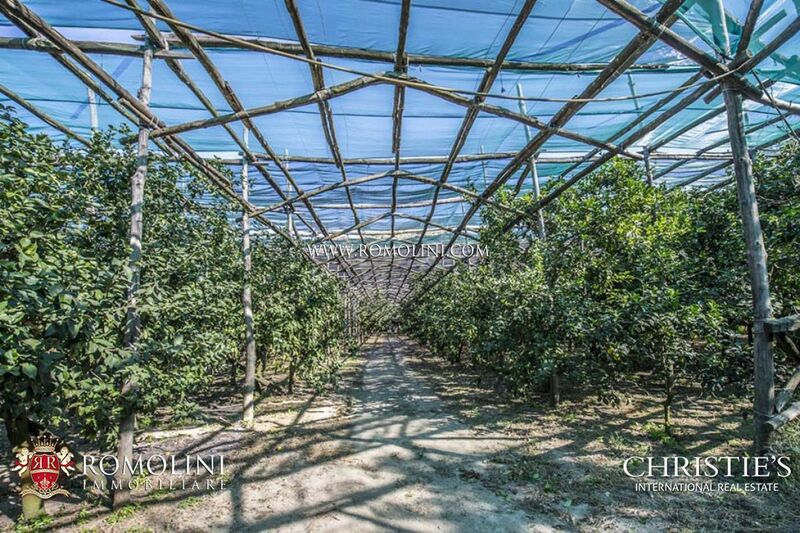 Finally a citrus grove (6.5 ha) allows producing a peculiar oil with lemon background and jams. 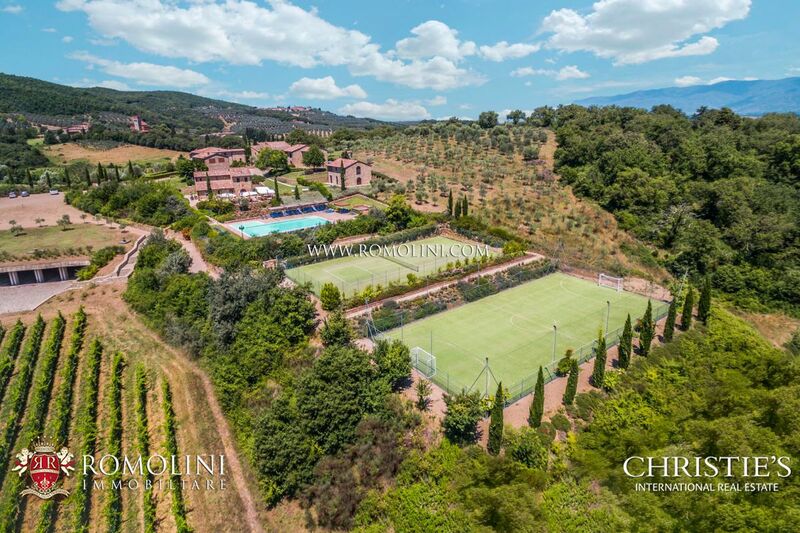 In the unused land it is possible to create a helipad.